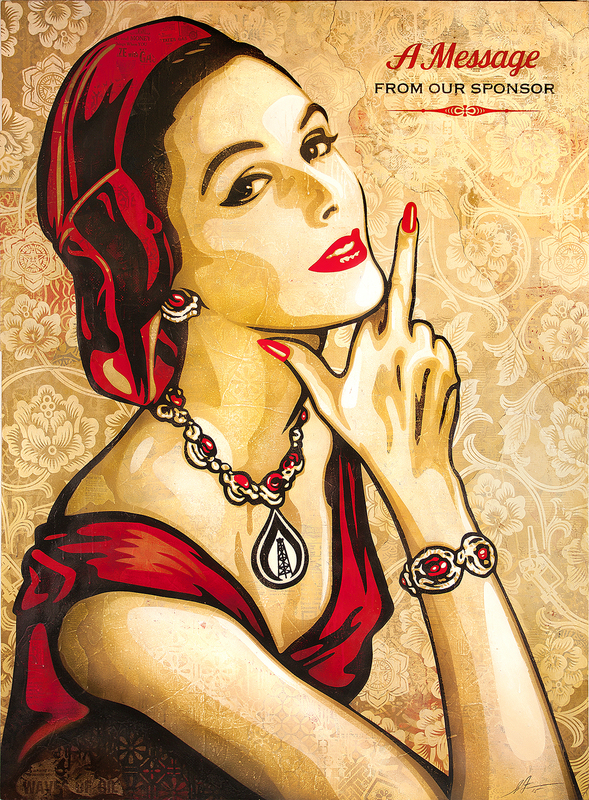 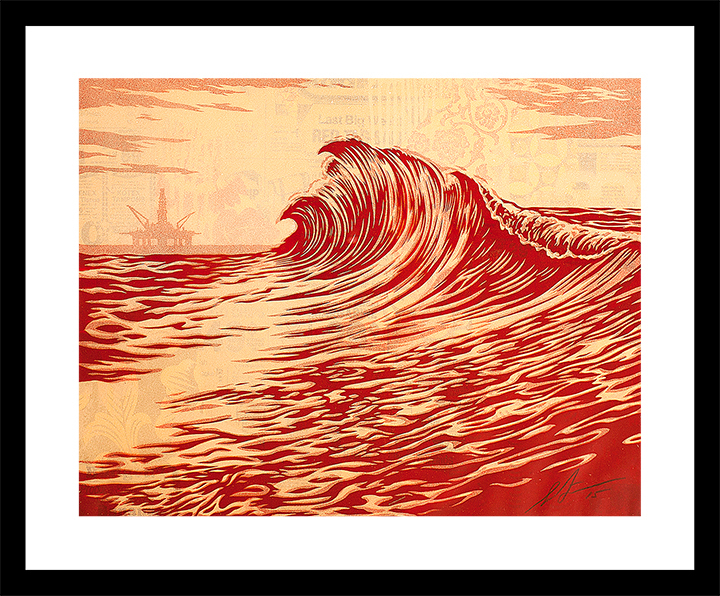 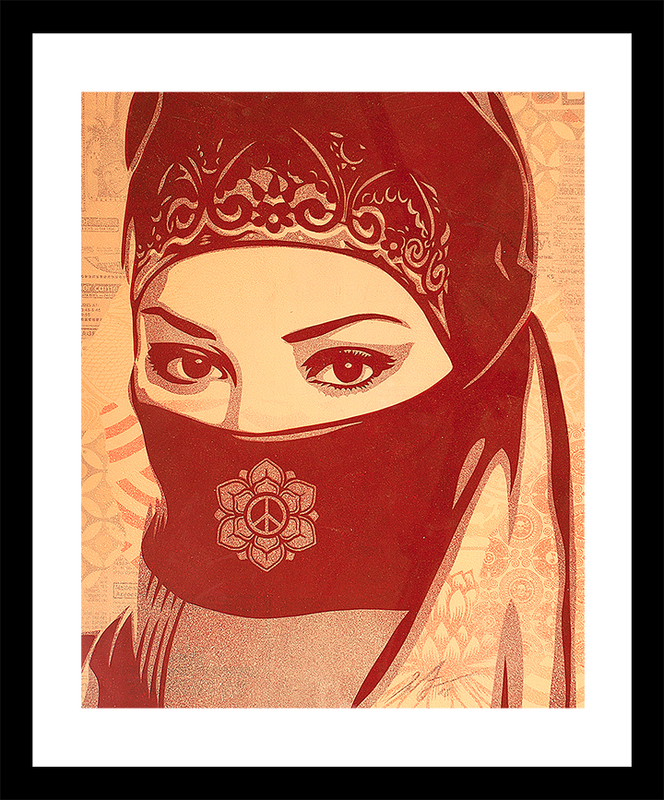 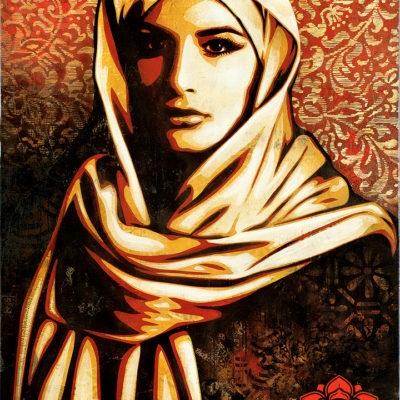 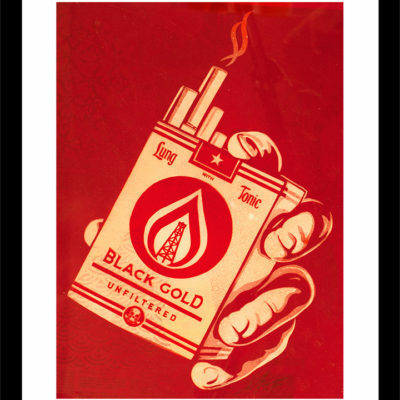 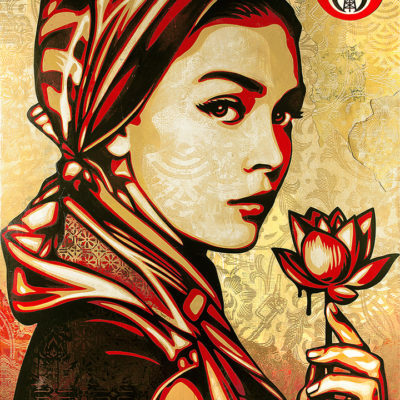 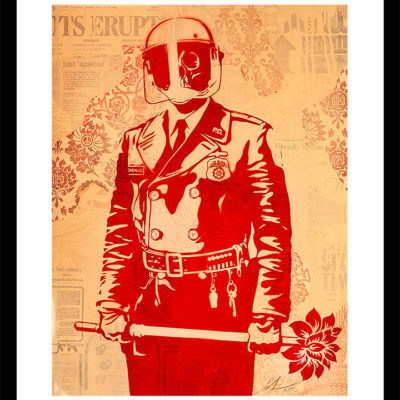 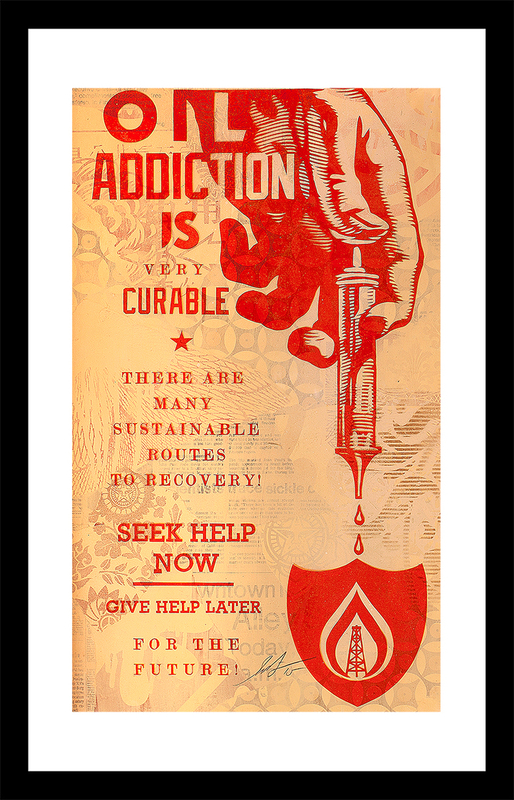 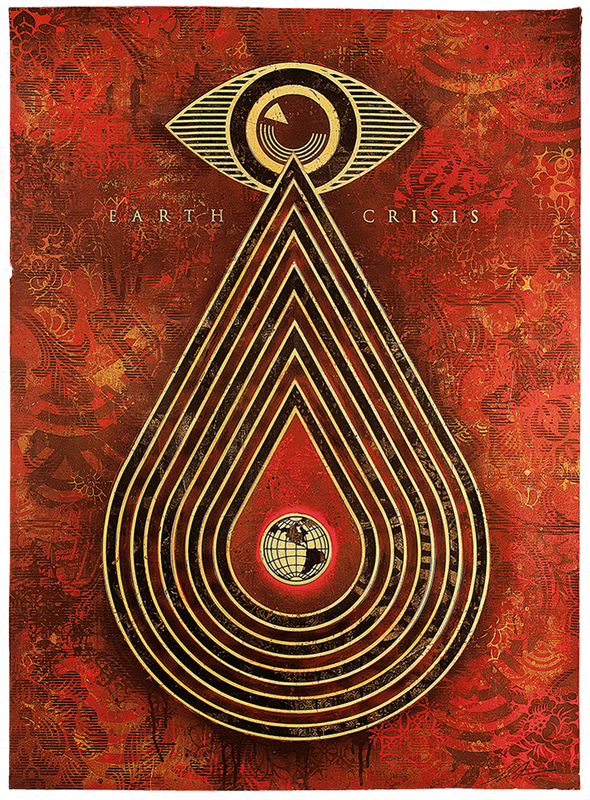 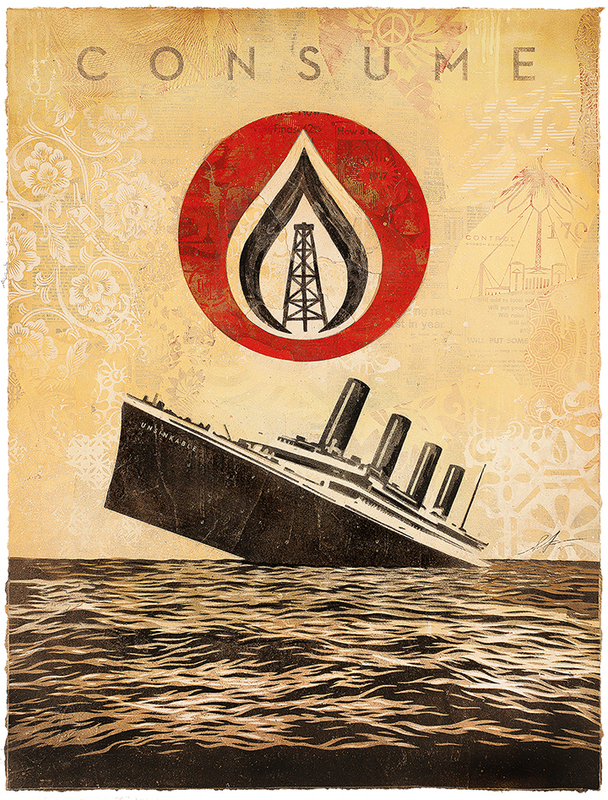 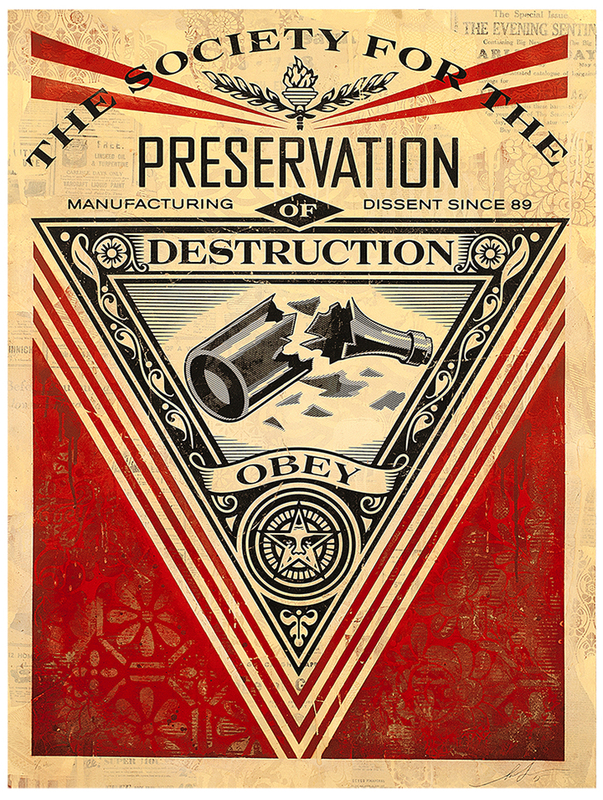 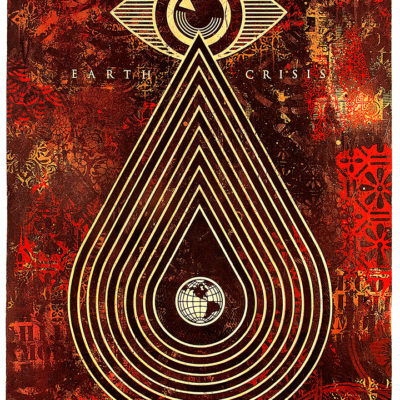 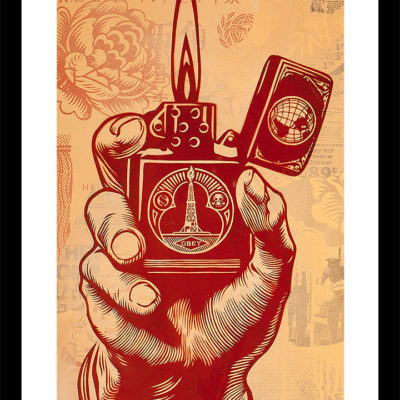 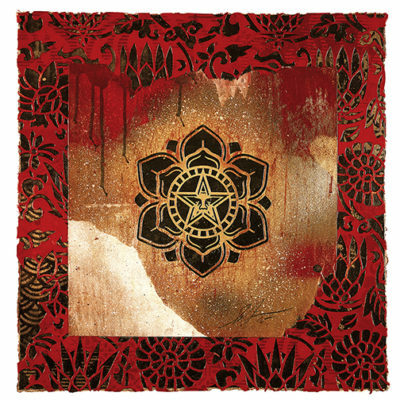 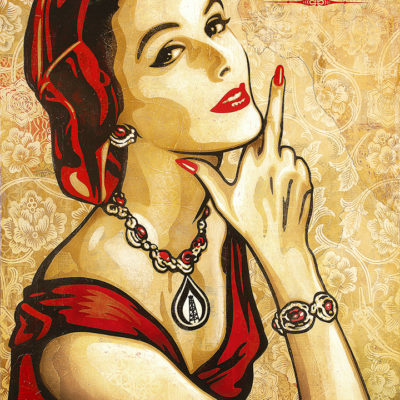 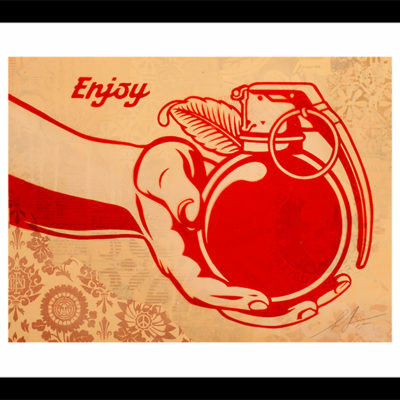 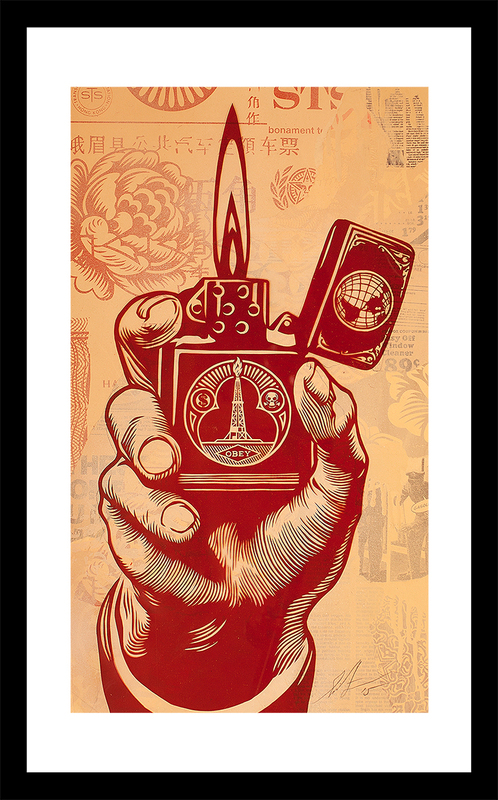 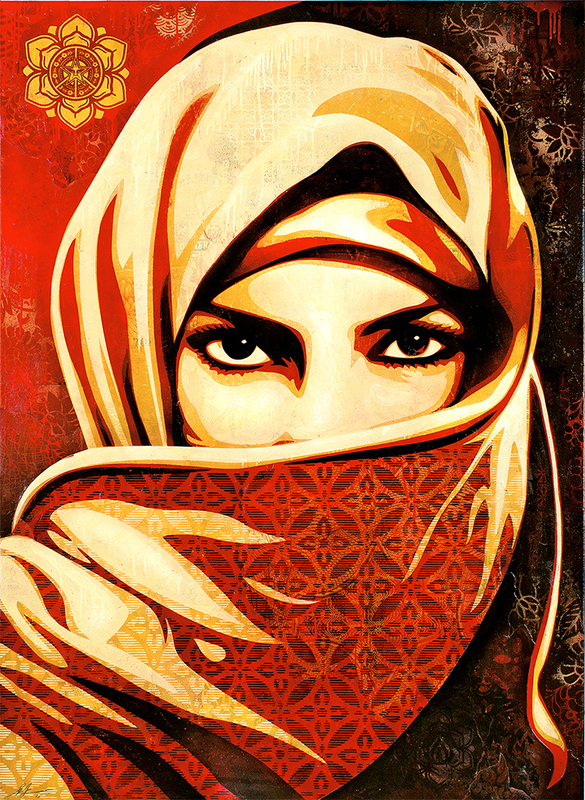 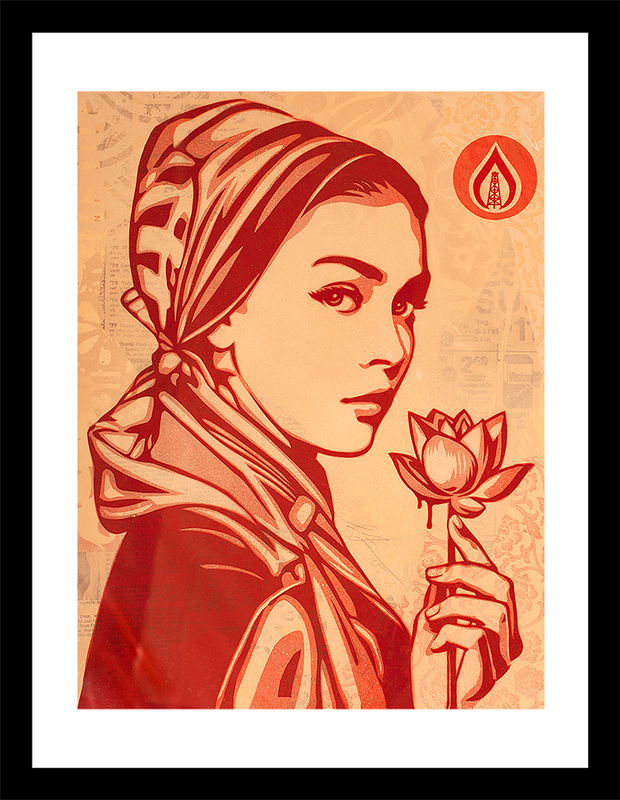 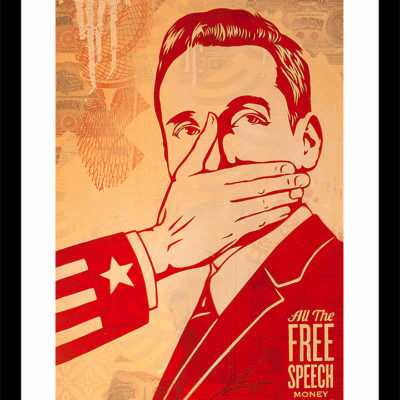 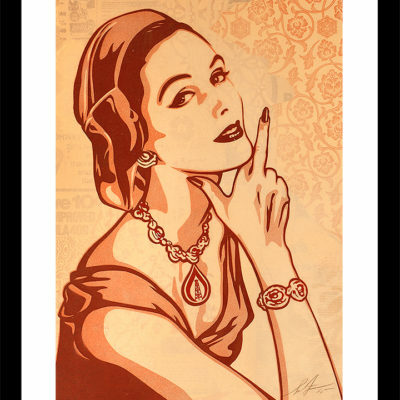 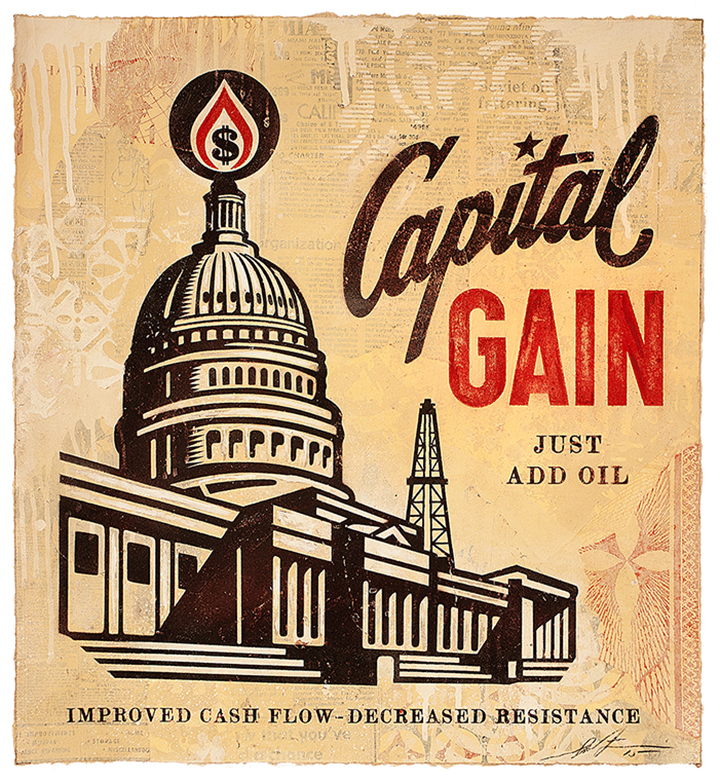 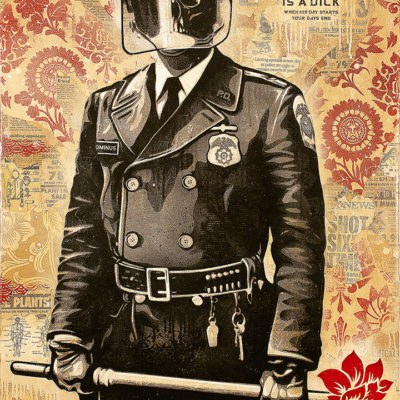 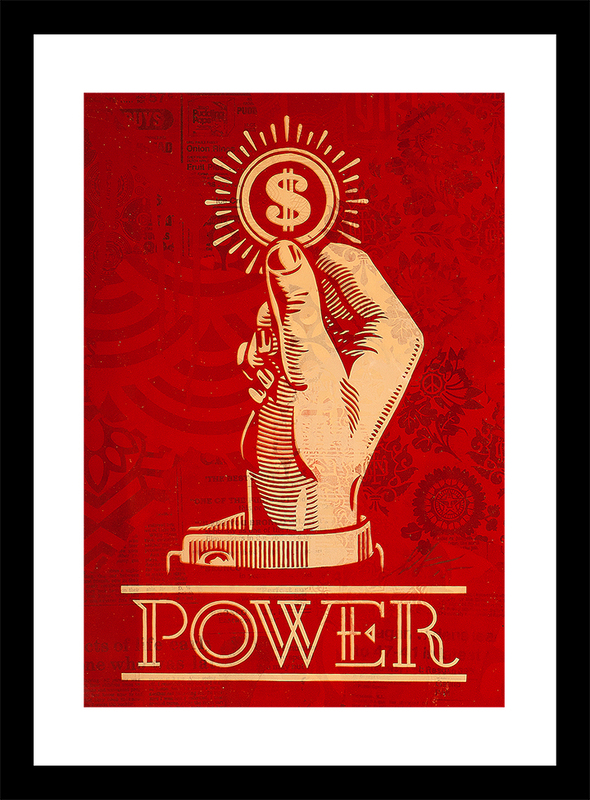 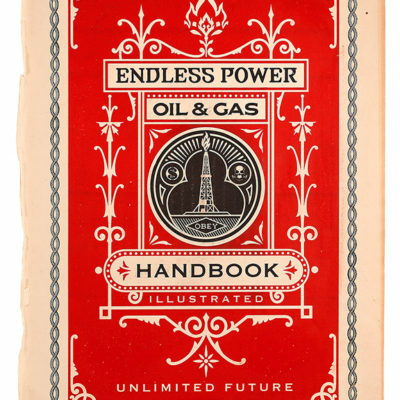 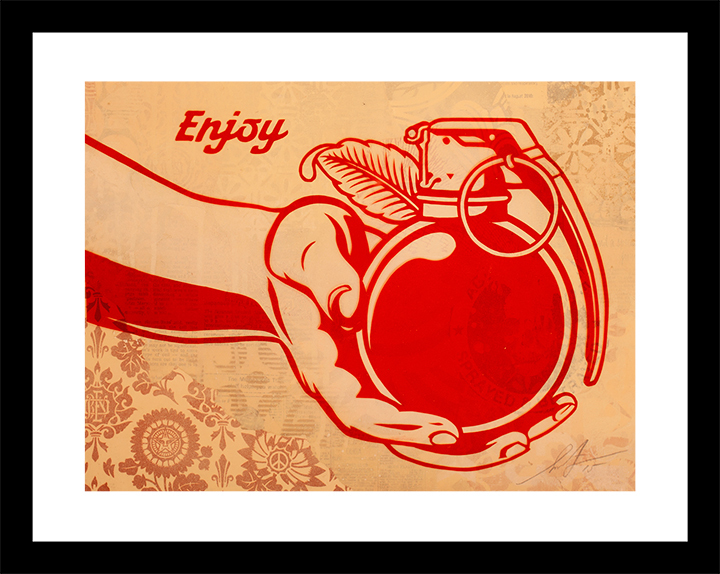 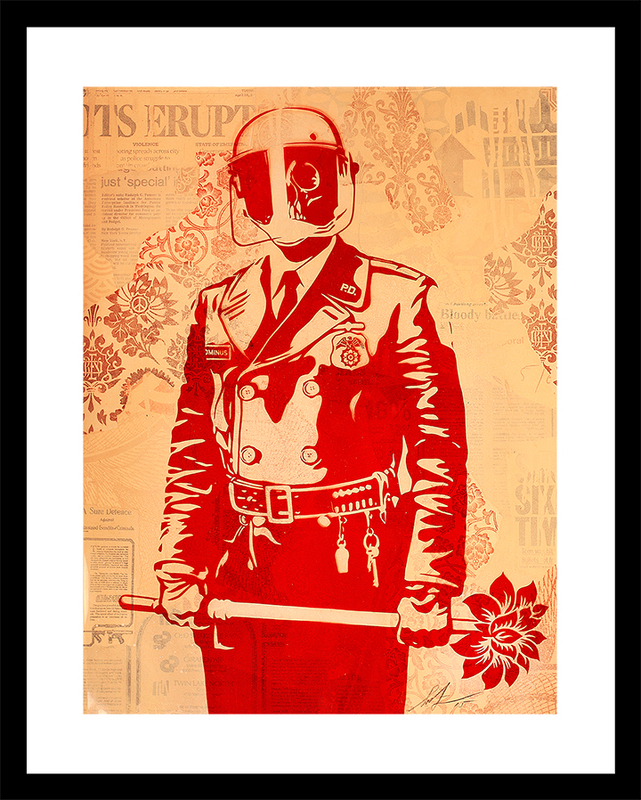 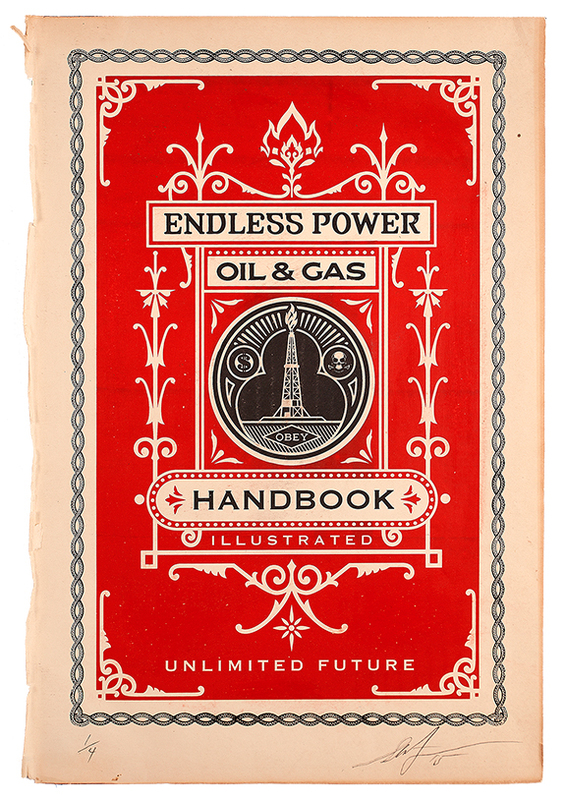 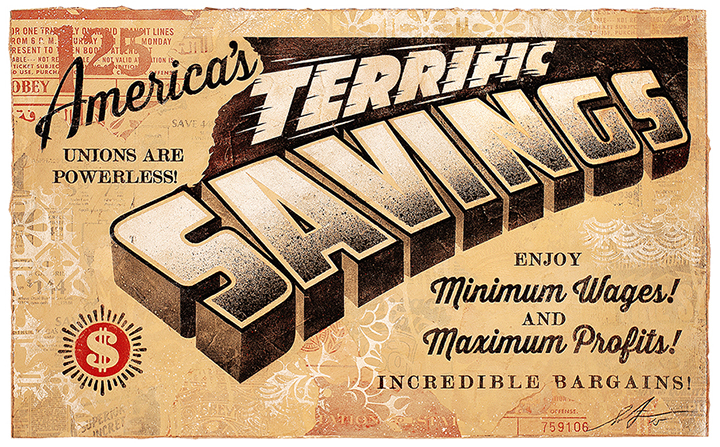 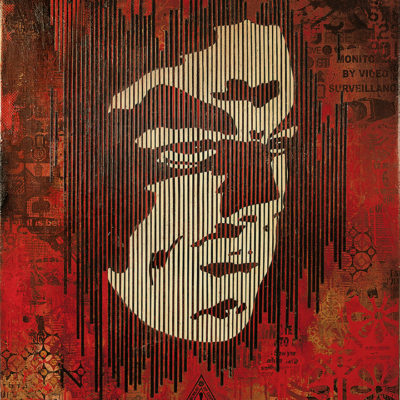 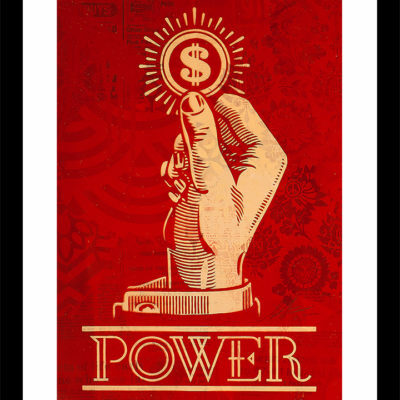 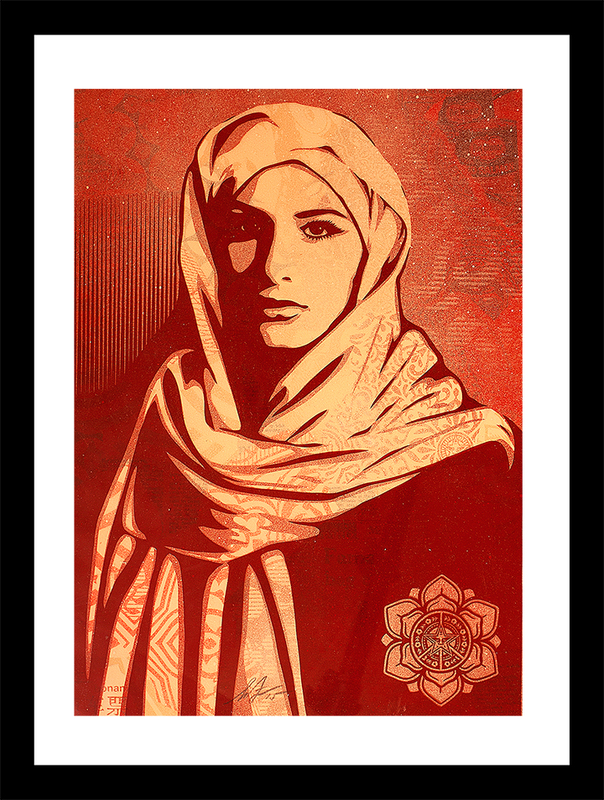 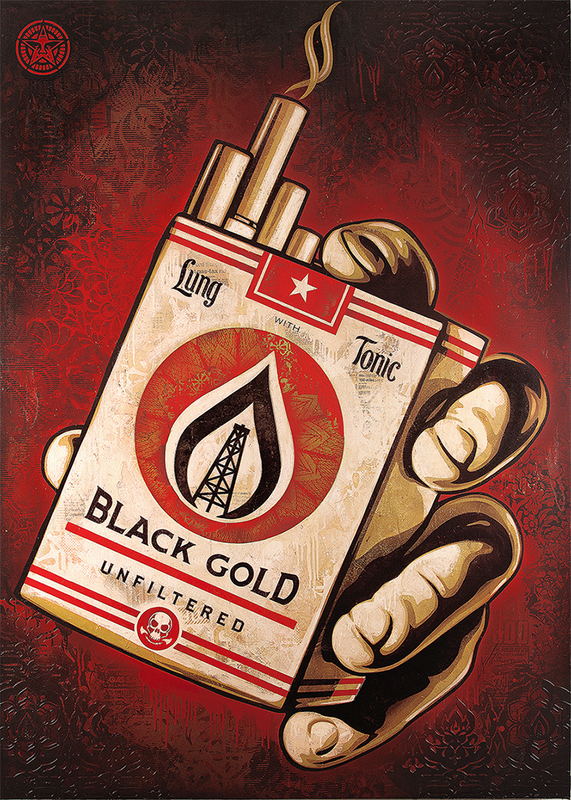 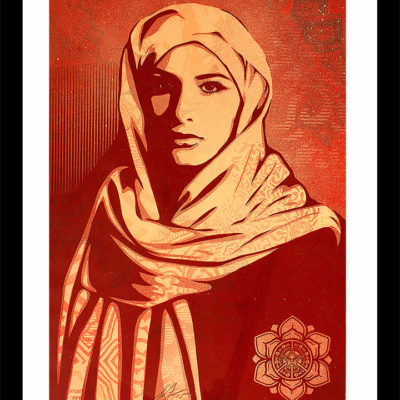 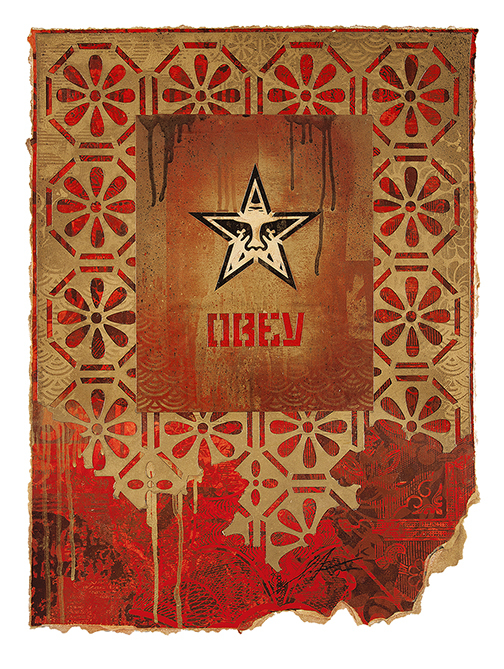 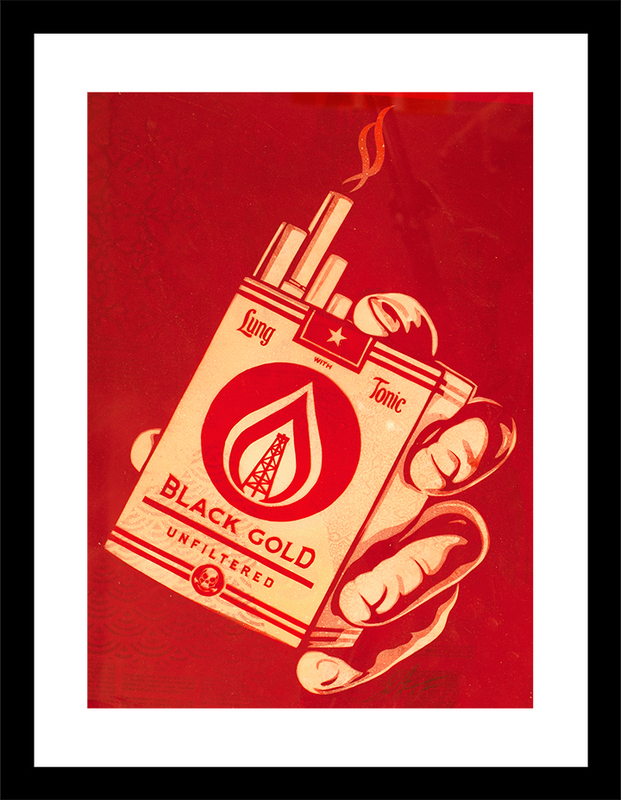 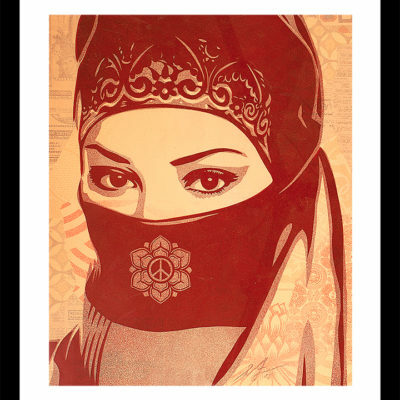 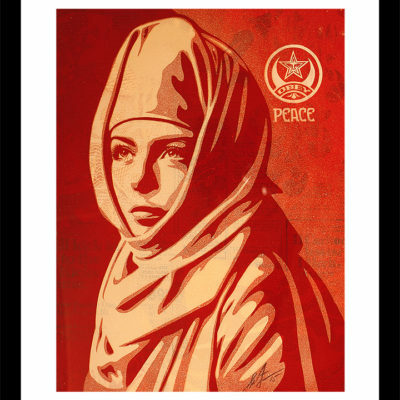 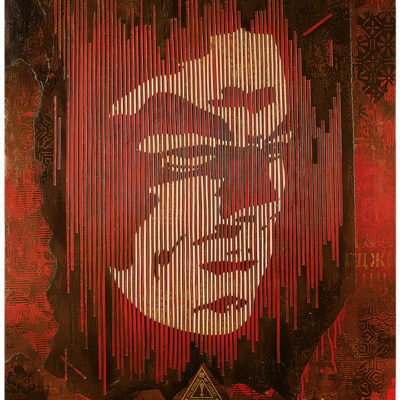 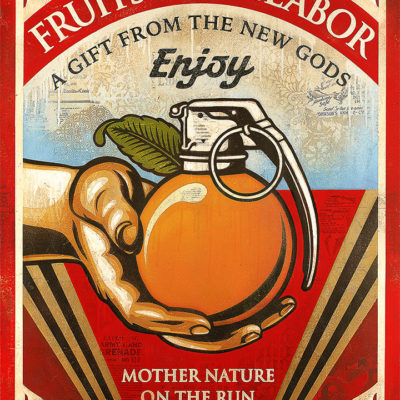 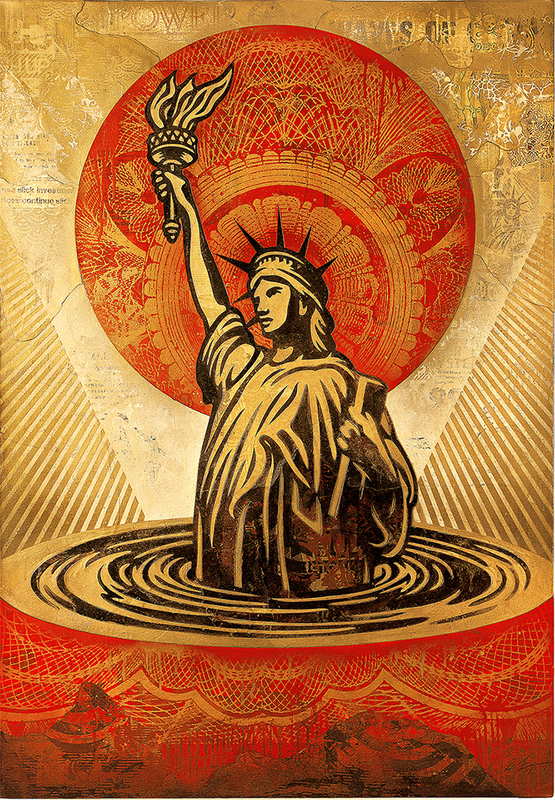 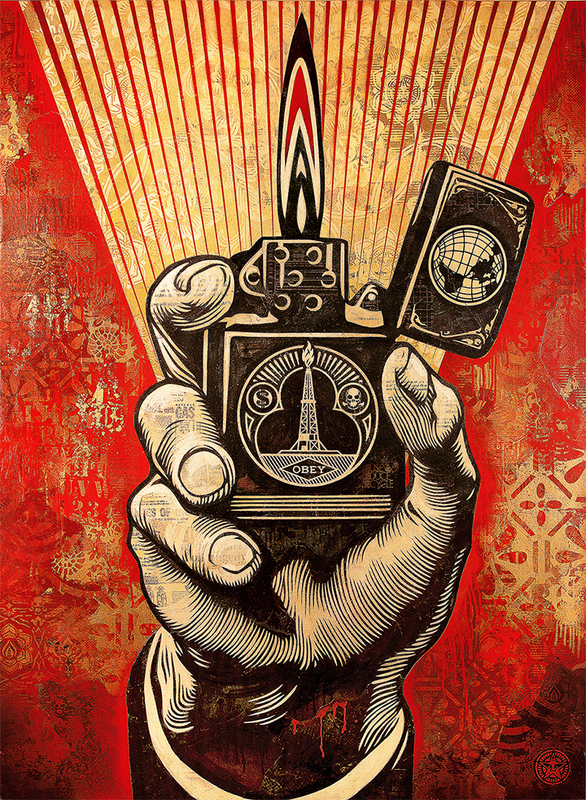 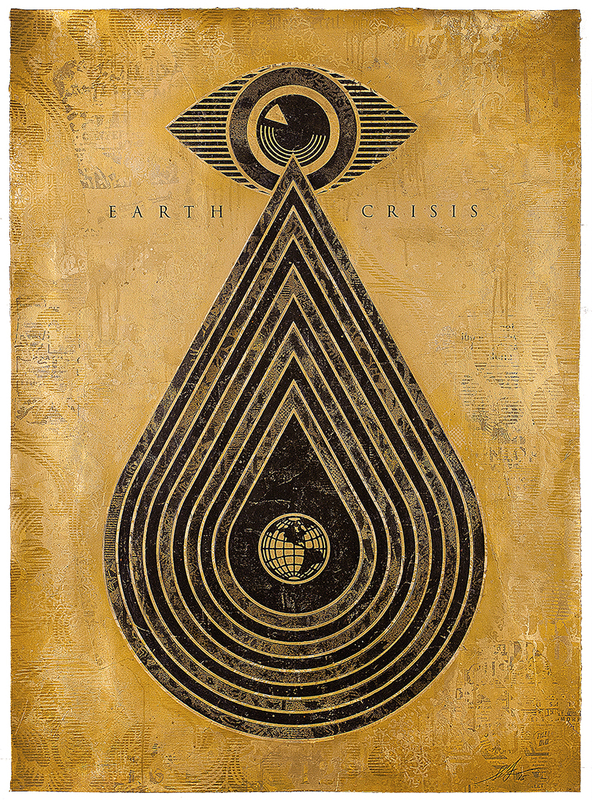 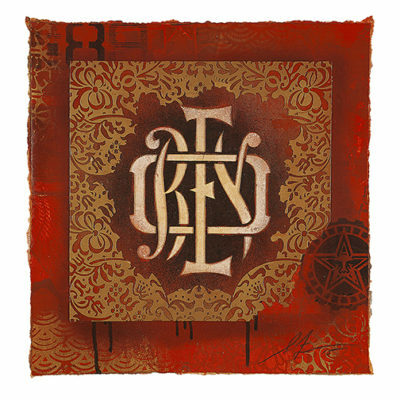 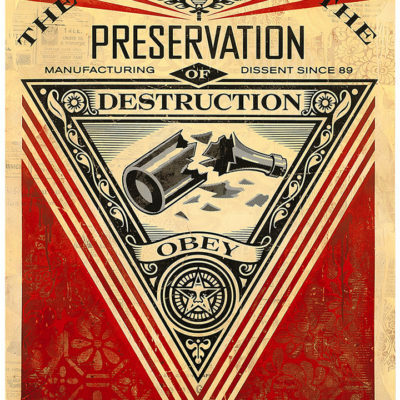 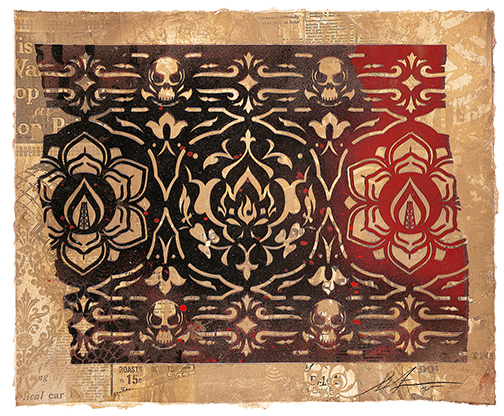 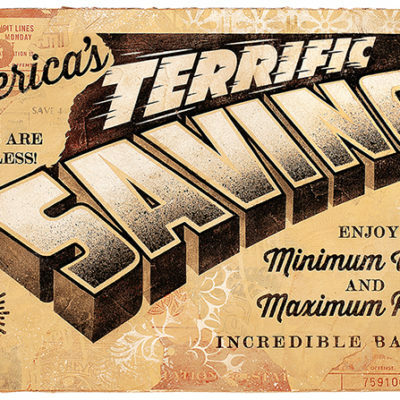 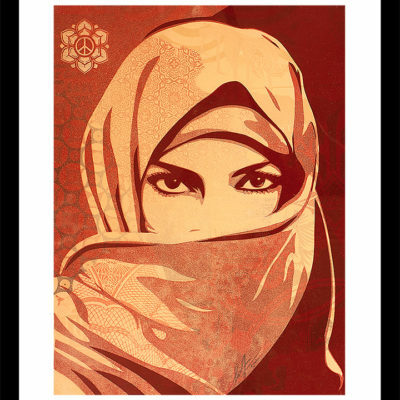 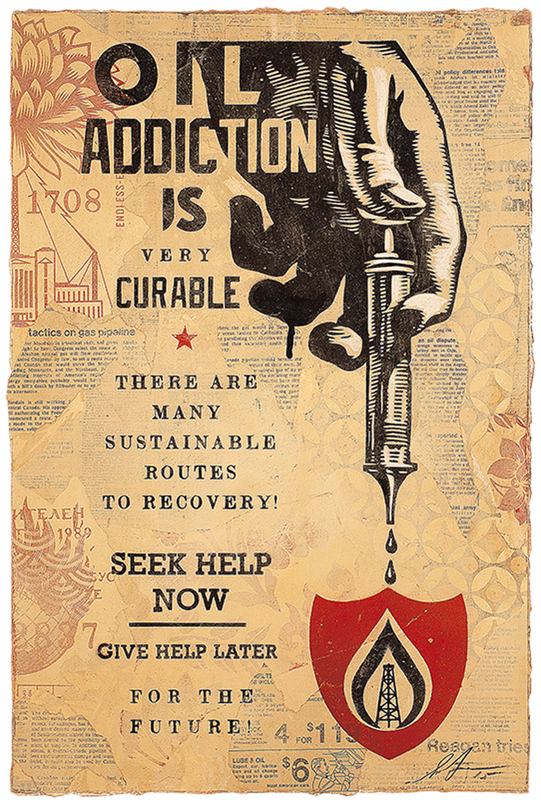 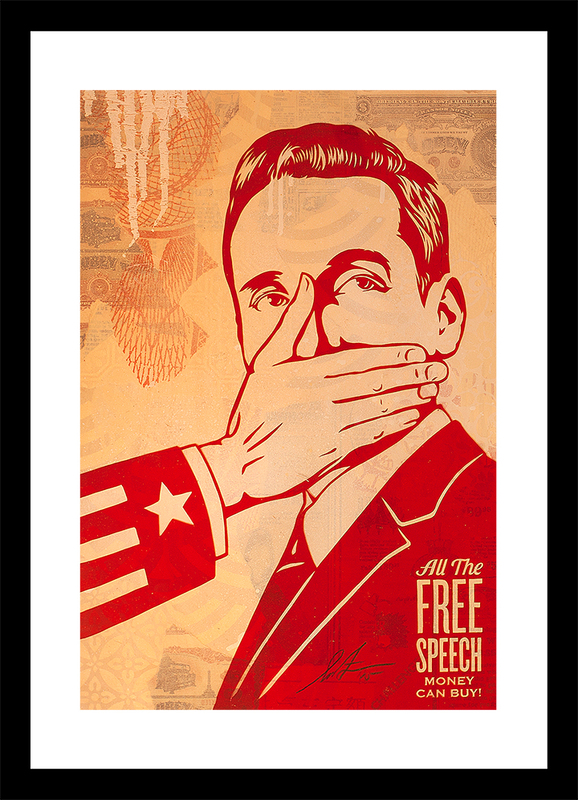 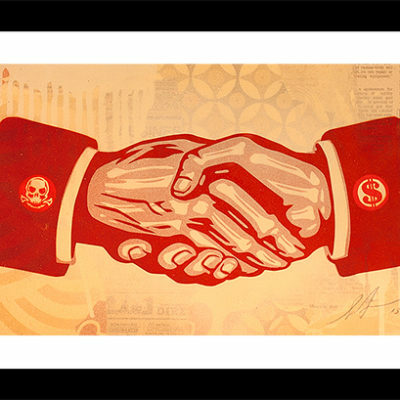 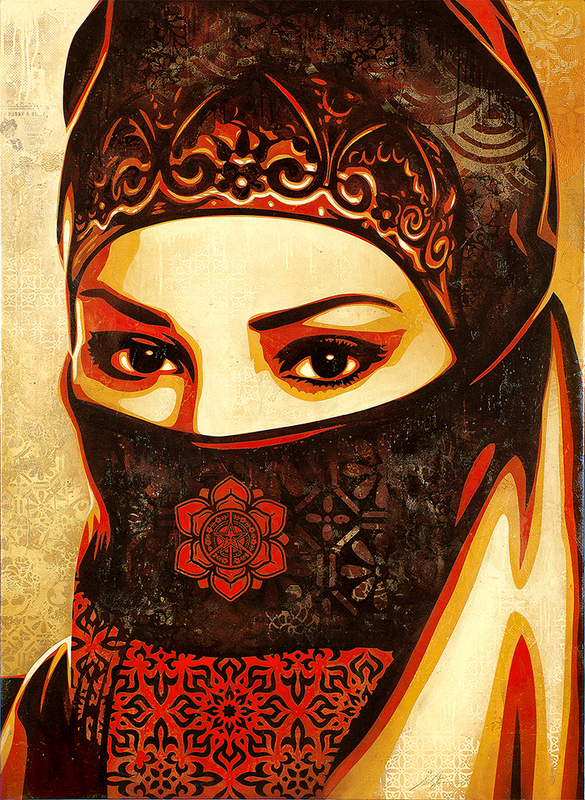 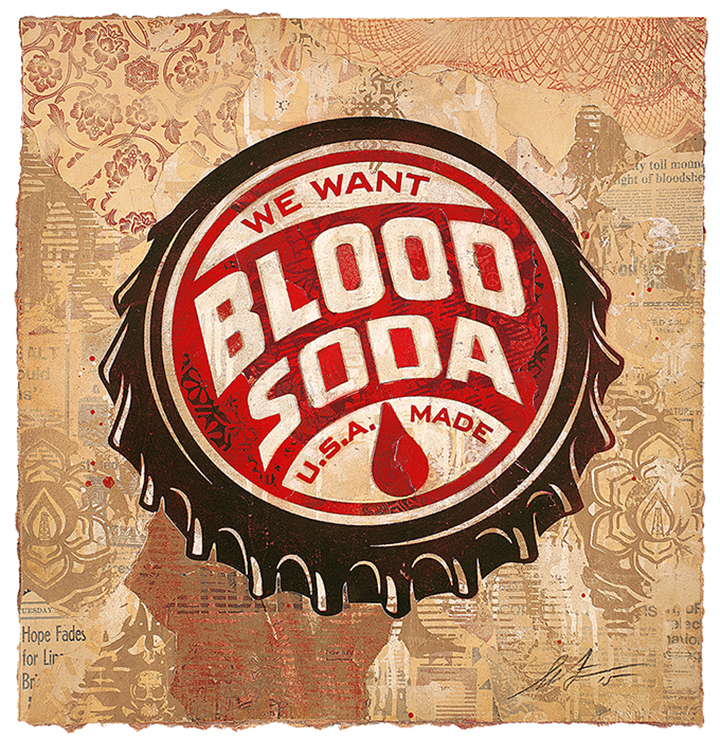 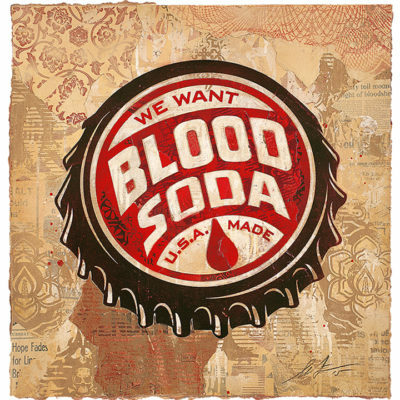 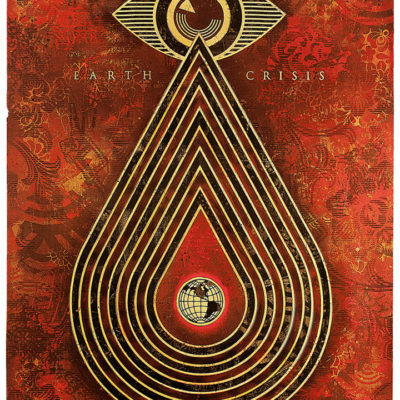 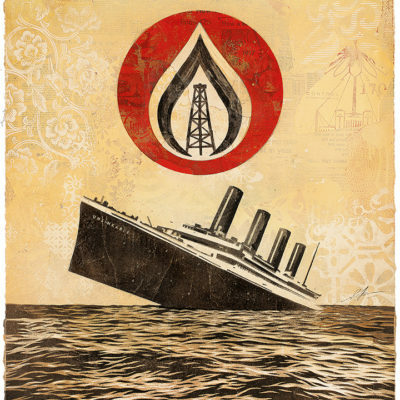 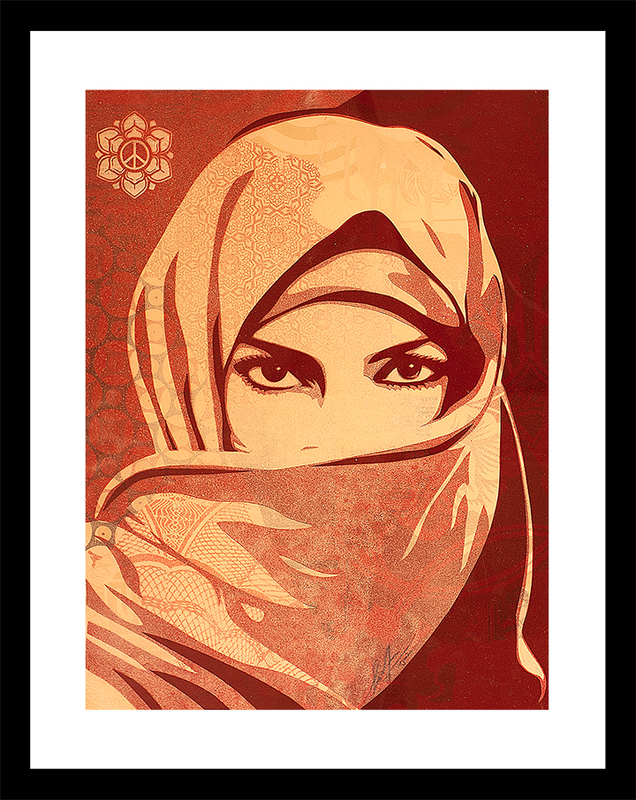 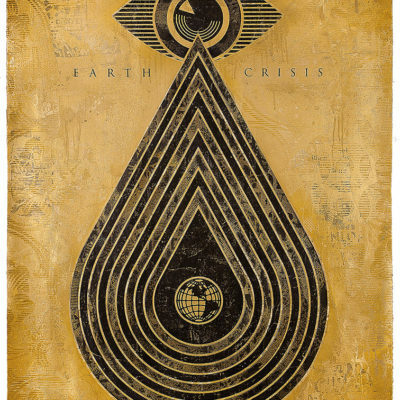 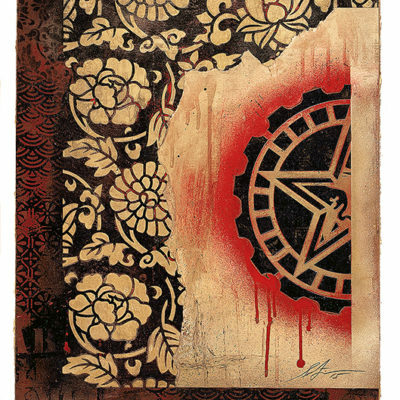 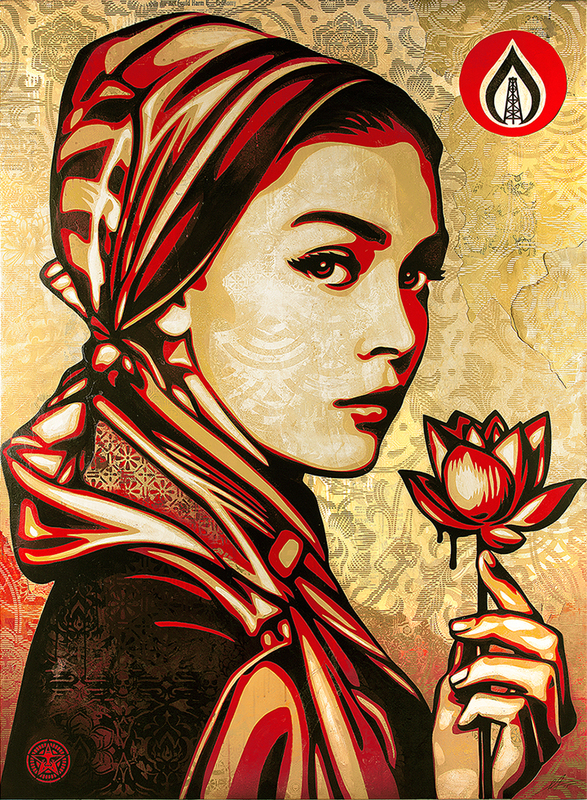 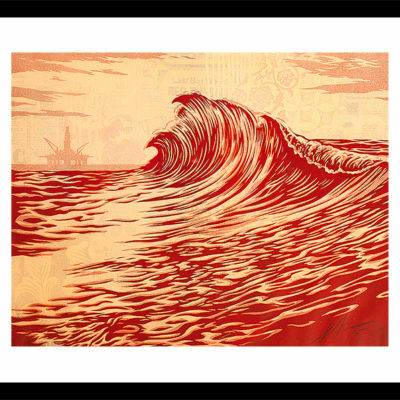 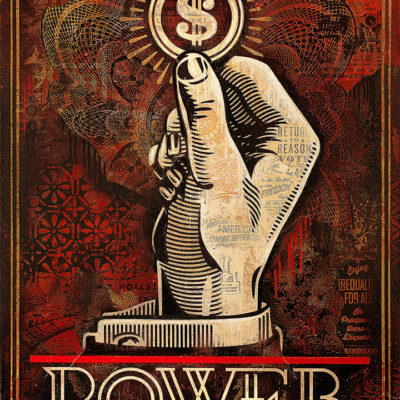 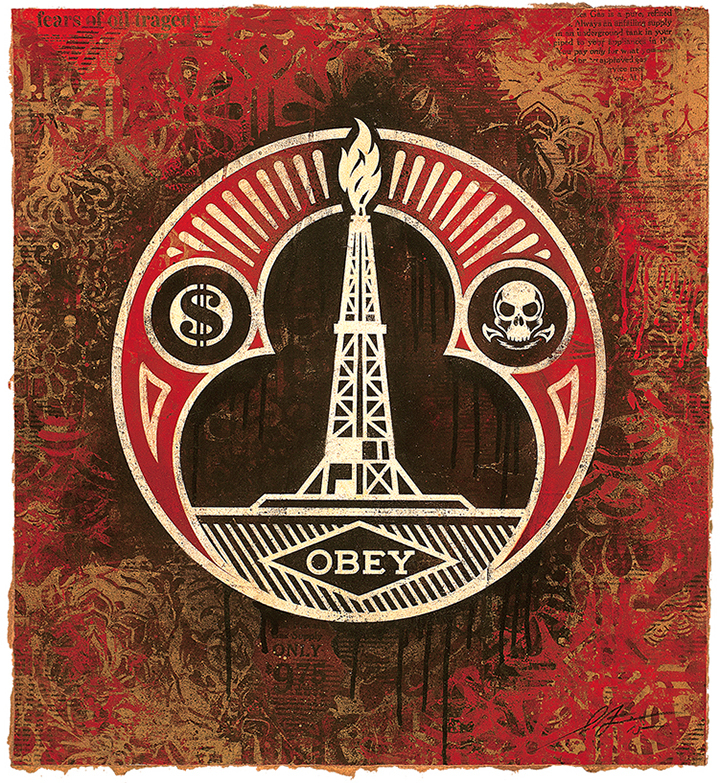 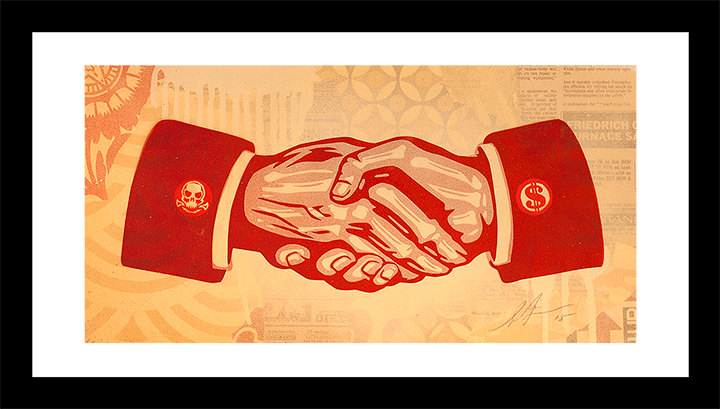 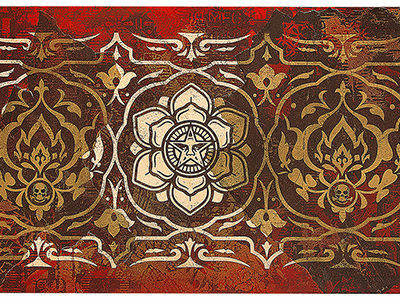 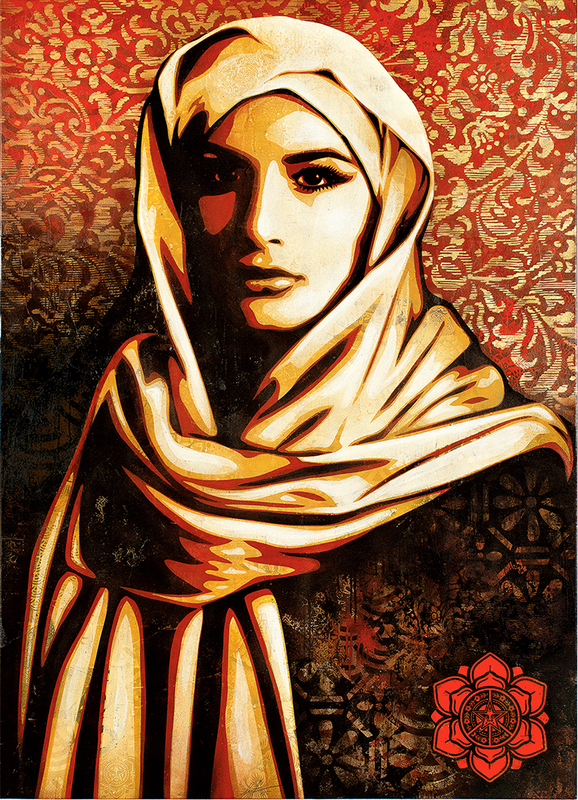 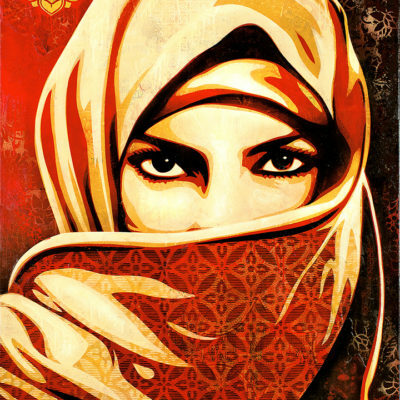 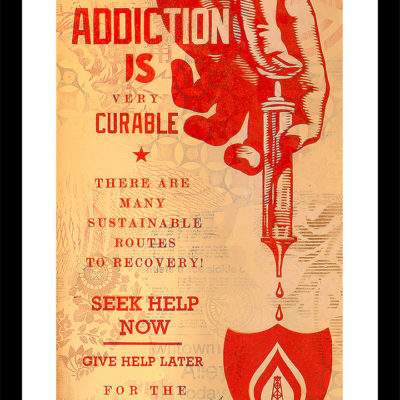 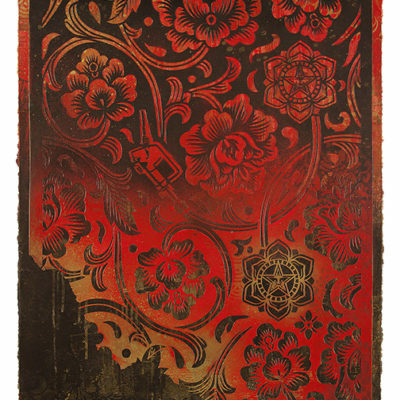 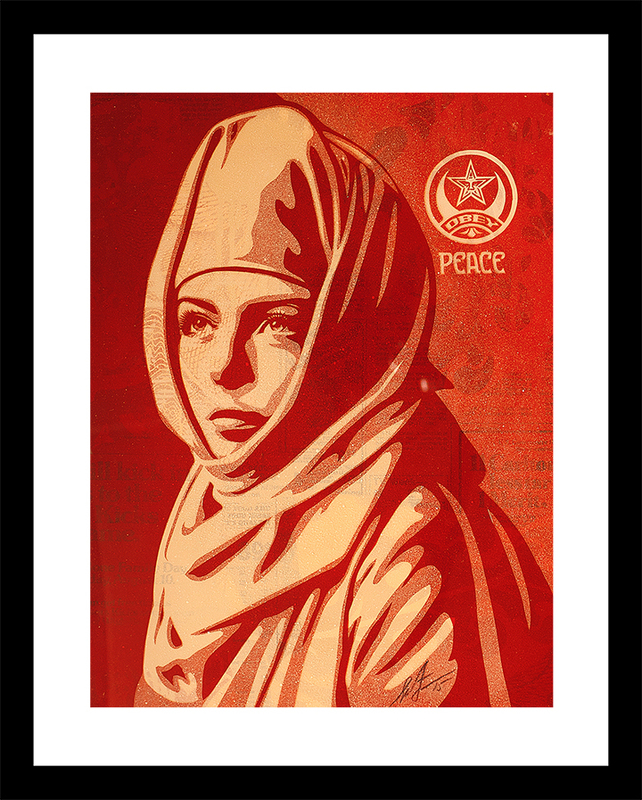 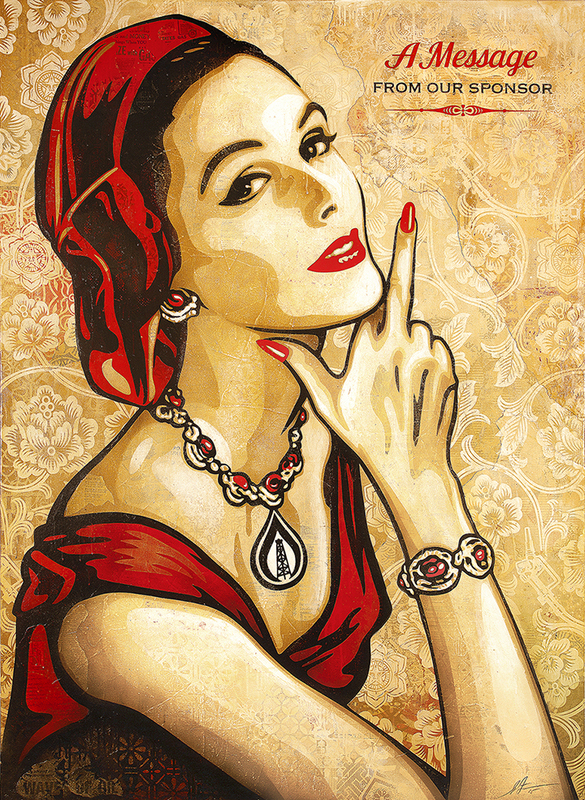 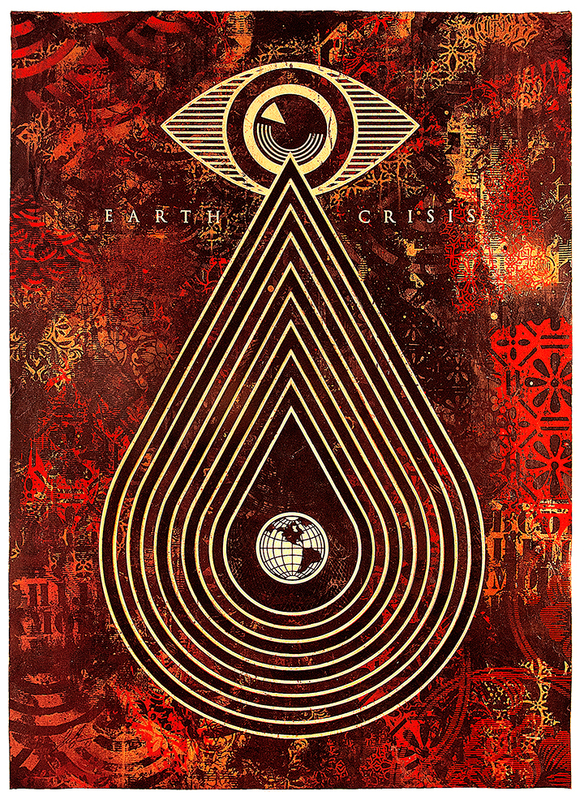 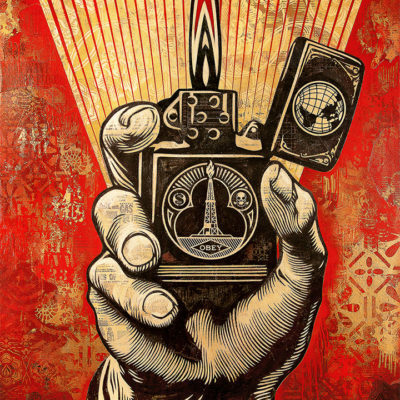 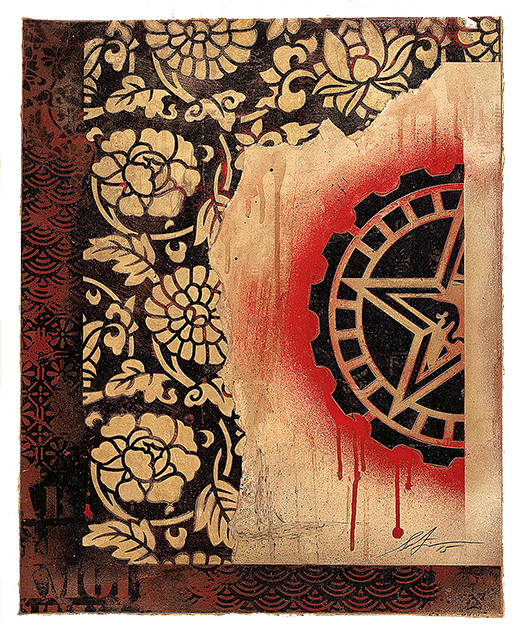 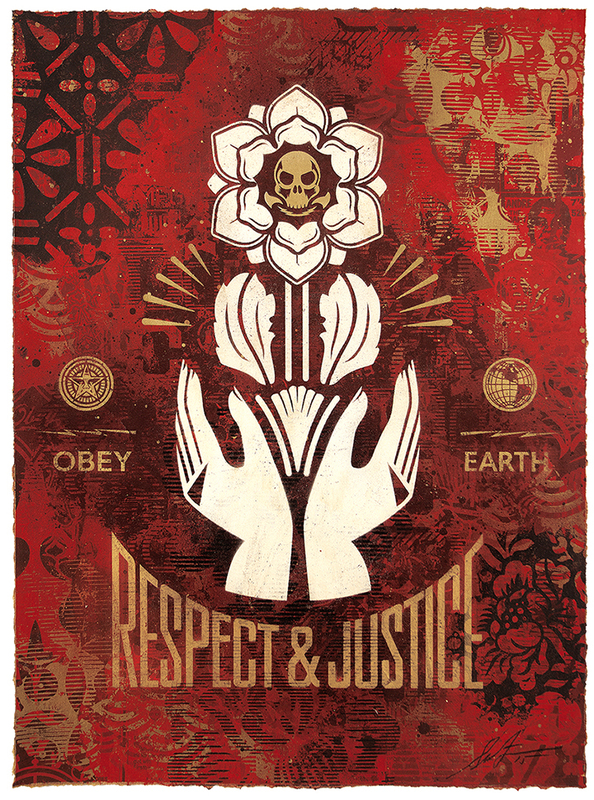 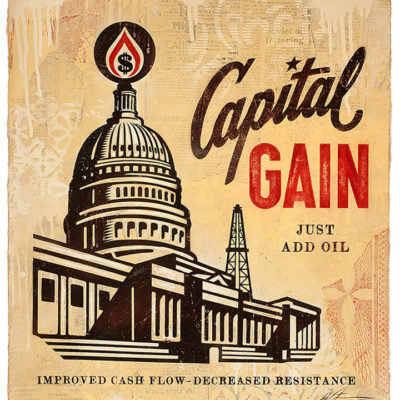 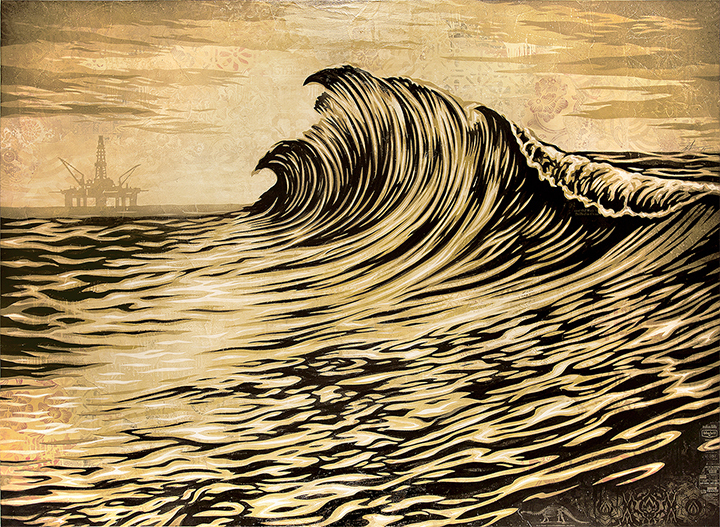 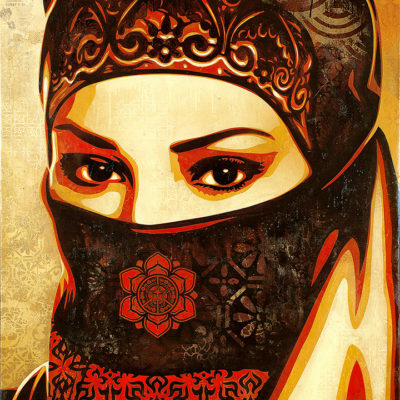 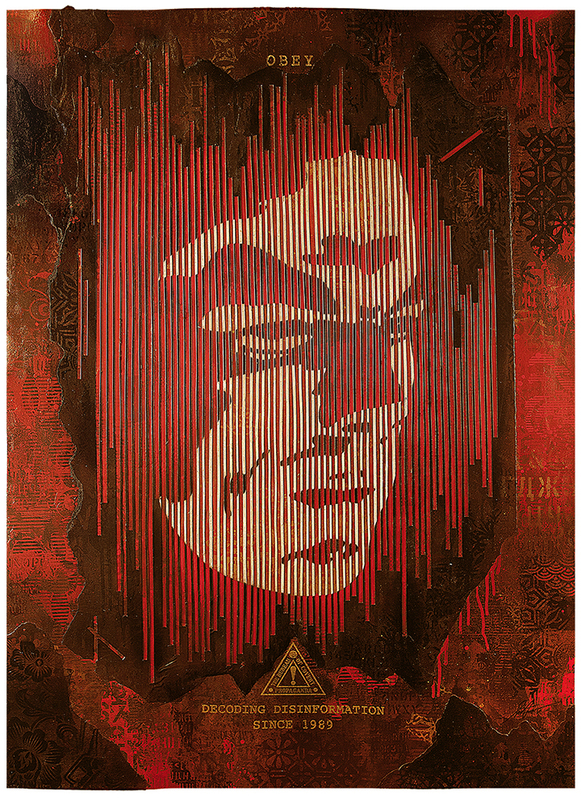 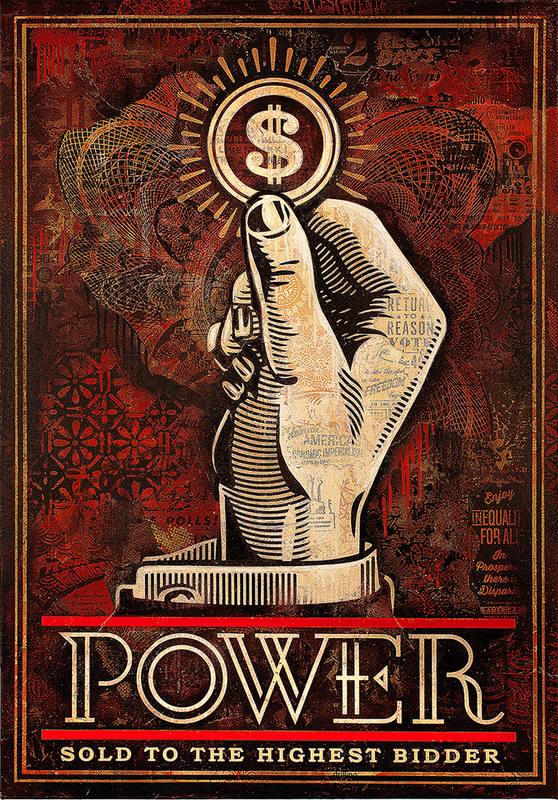 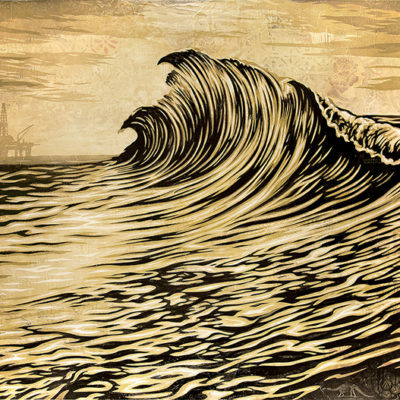 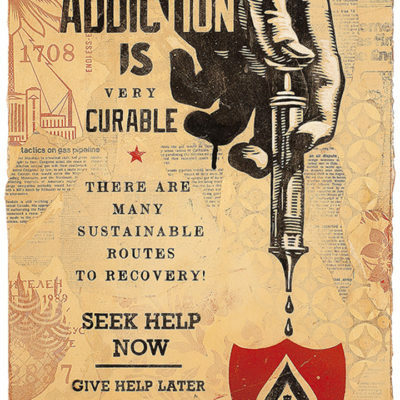 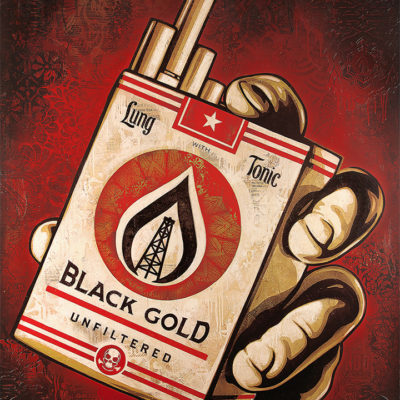 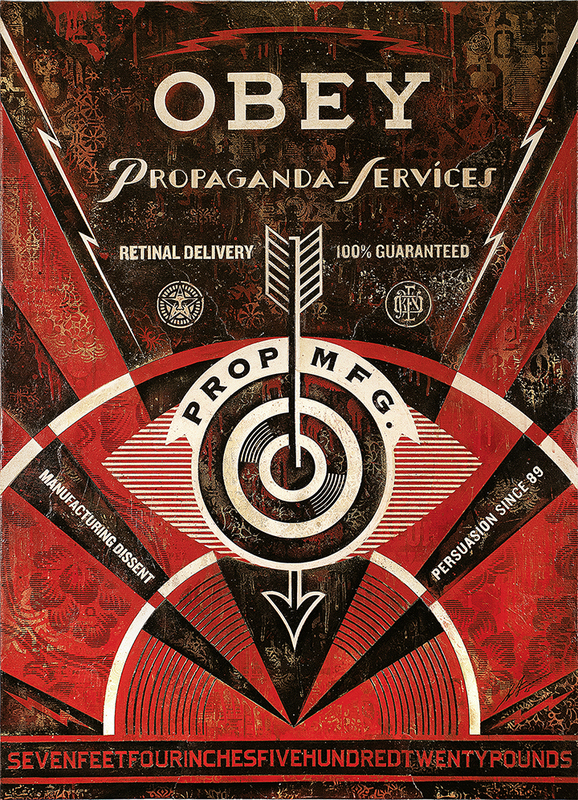 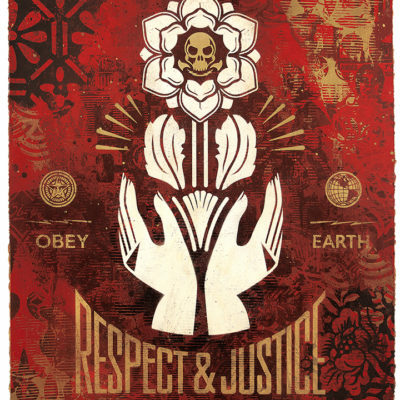 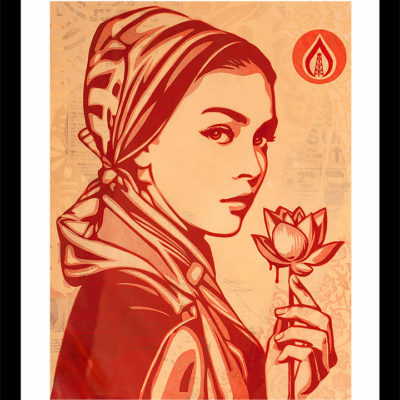 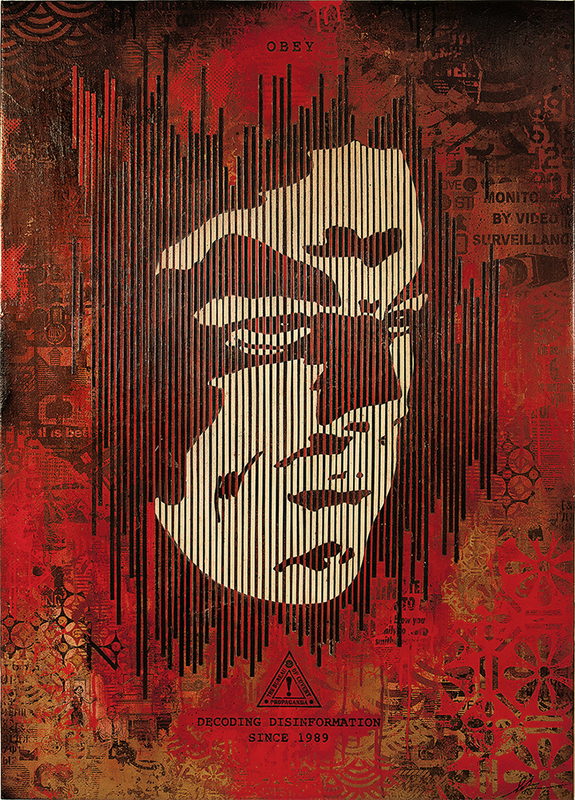 Jacob Lewis Gallery is pleased to present On Our Hands, an exhibition of new paintings by Shepard Fairey. 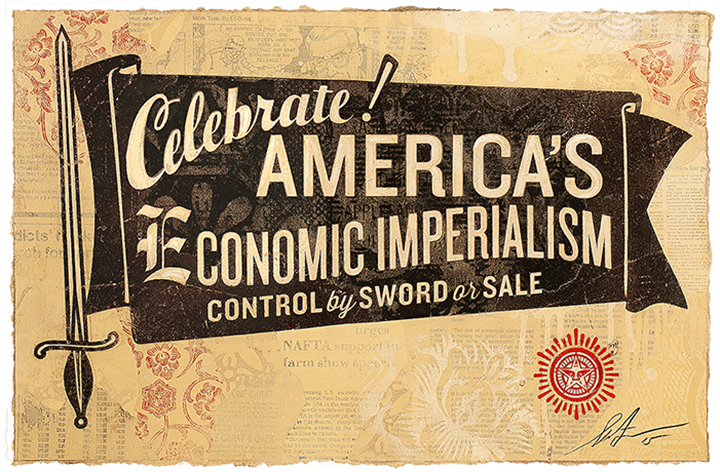 The exhibition will be on view September 18—October 24, with a public opening reception September 17, 6-8pm. 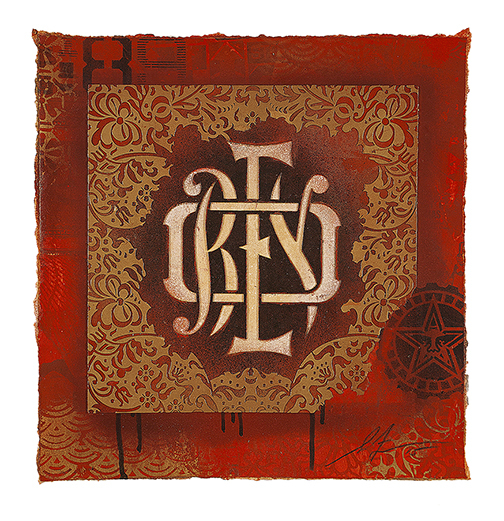 On Our Hands is the first solo exhibition of Fairey’s paintings in New York City since 2010. 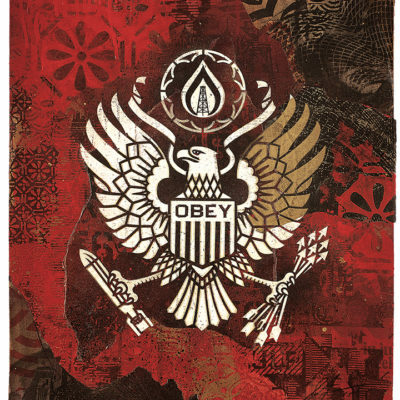 In his new body of work, Fairey builds up the surface of his canvas in densely collaged relief, calling to mind a city wall layered with decades of distressed flyers. 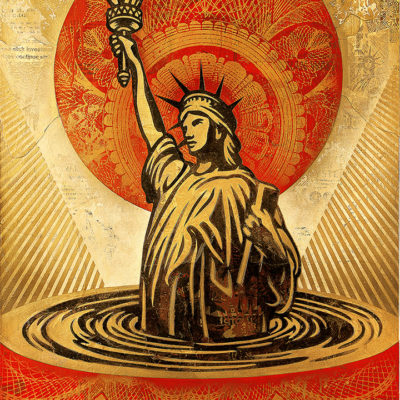 The paintings reflect on contemporary issues facing our global community: political corruption, environmental apathy and abuse of power. 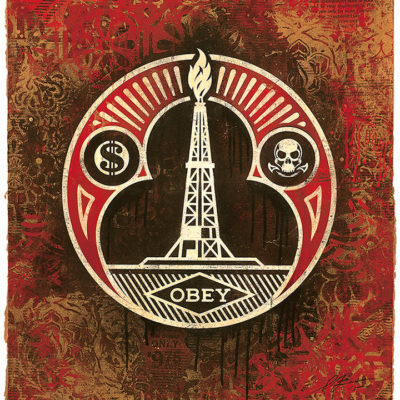 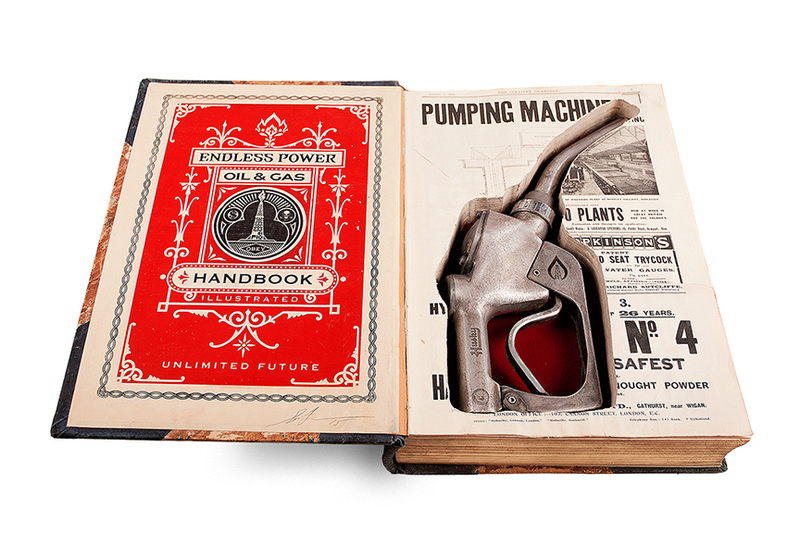 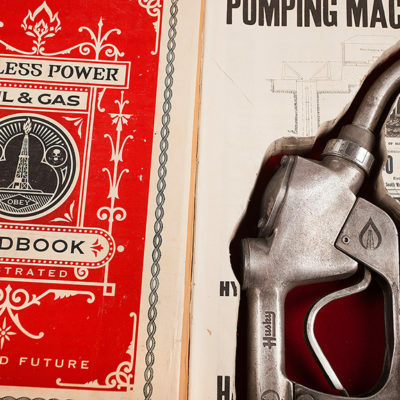 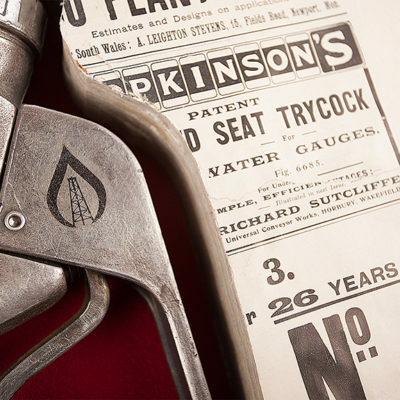 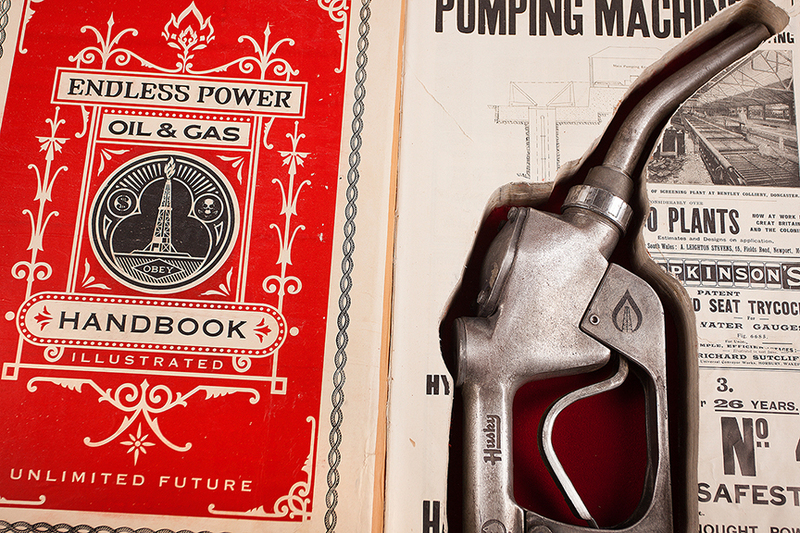 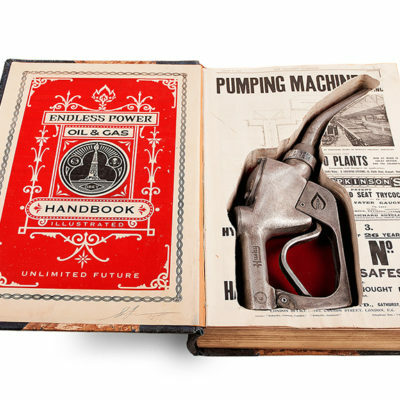 The exhibition is marked by a focus on corporate influence in government and the resulting inaction toward environmental concerns by the powers that be. 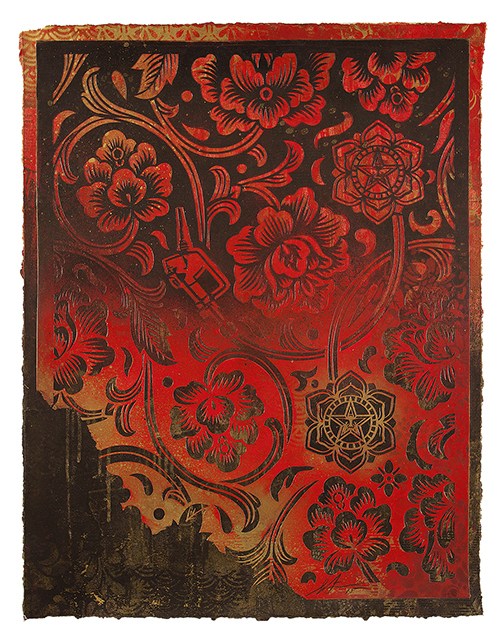 “I am incredibly honored to show at Jacob Lewis Gallery. 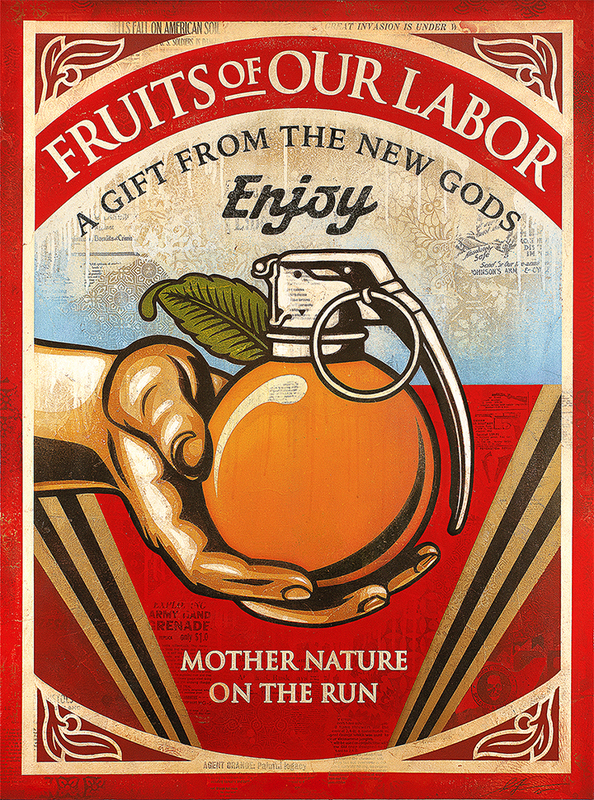 I have known Jacob for years, and he has always maintained an insightful understanding of my aesthetics, techniques, and philosophies,” says Fairey on his inaugural exhibition at his representing gallery in New York. 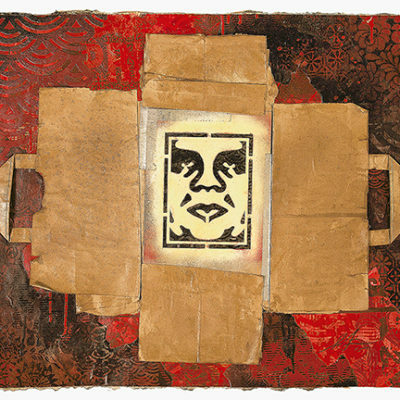 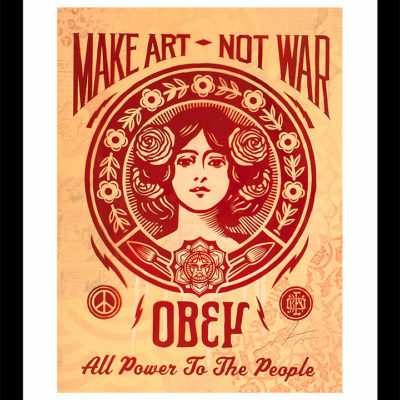 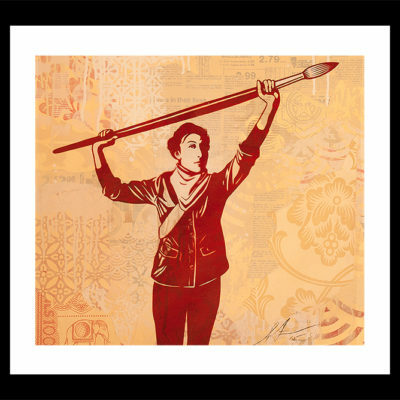 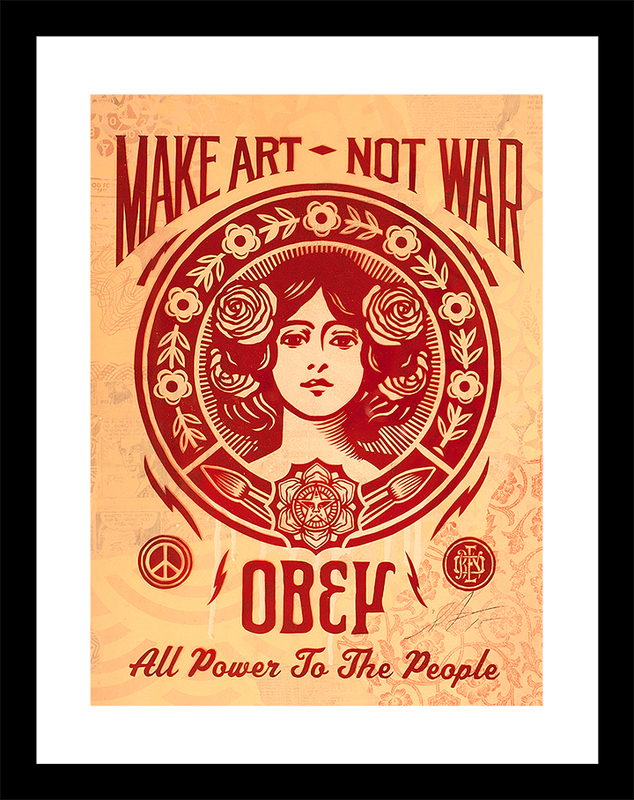 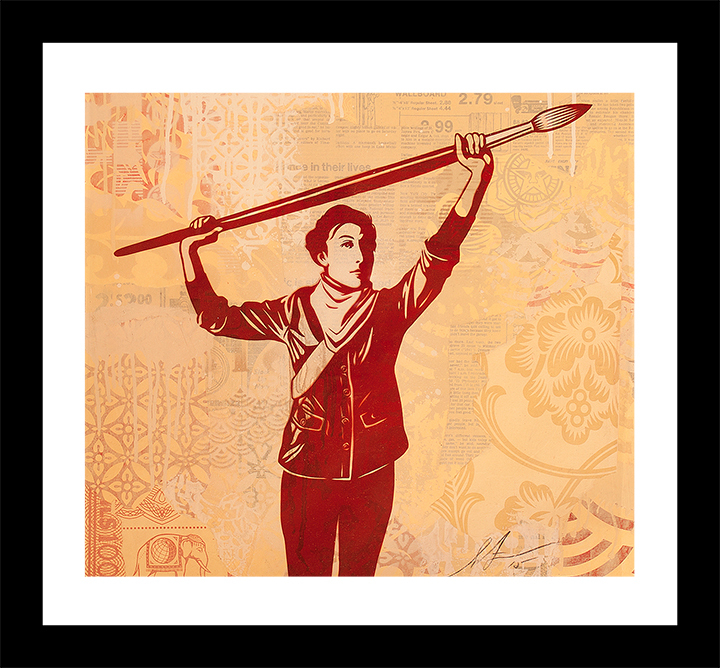 Shepard Fairey first gained prominence while still a student at the Rhode Island School of Design, where he created his seminal “Andre the Giant Has a Posse” sticker. 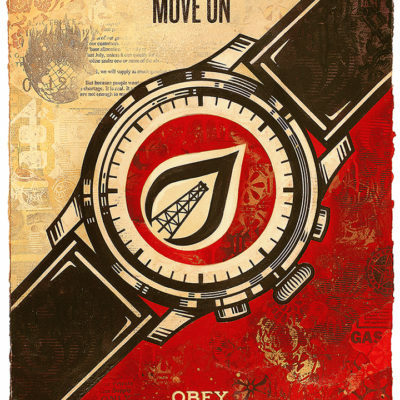 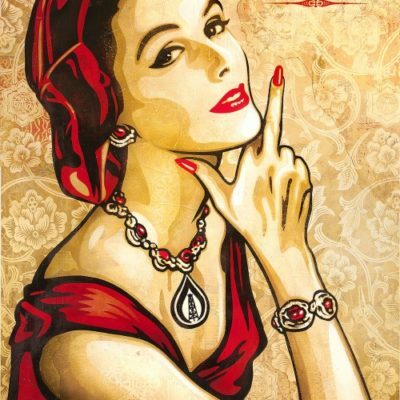 Fairey, taking notes from conceptual artist Barbara Kruger’s white-on red type design, transformed the original sticker into an internationally recognized symbol of the OBEY brand. 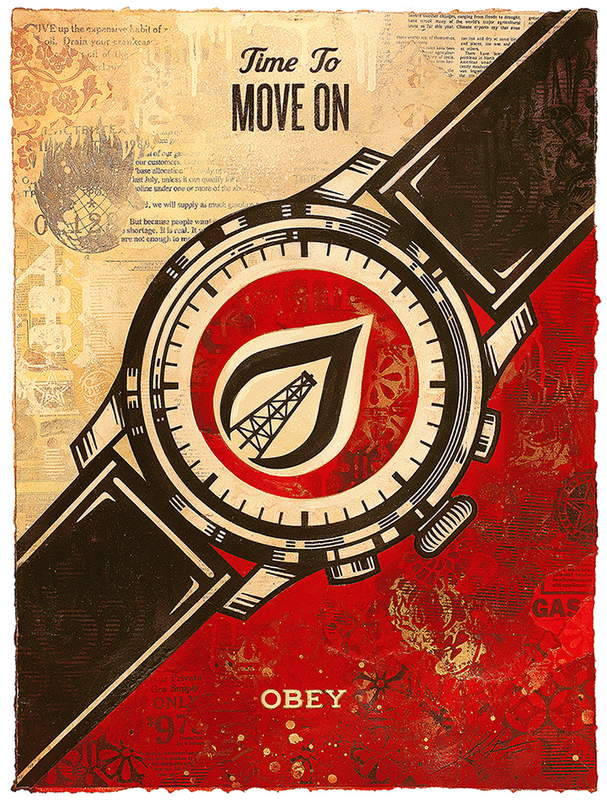 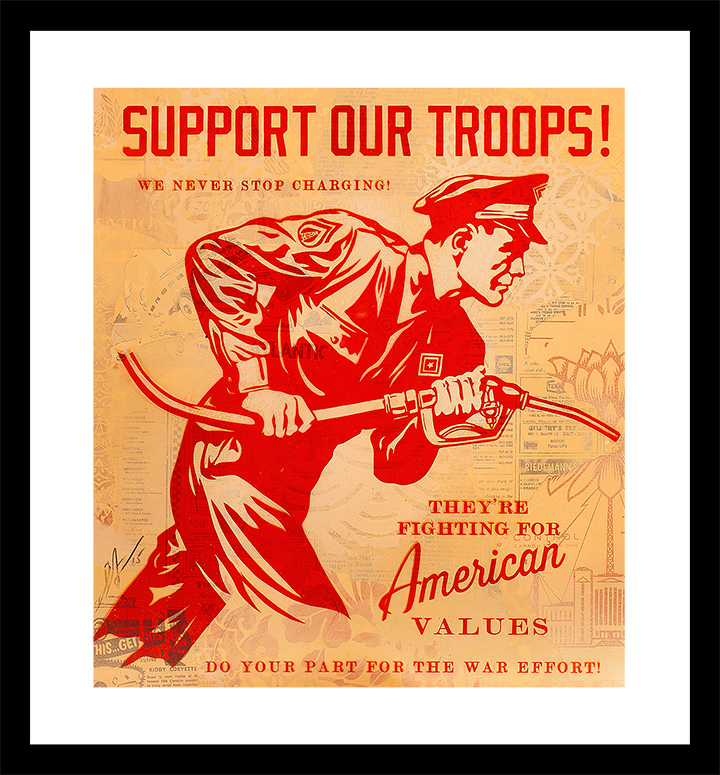 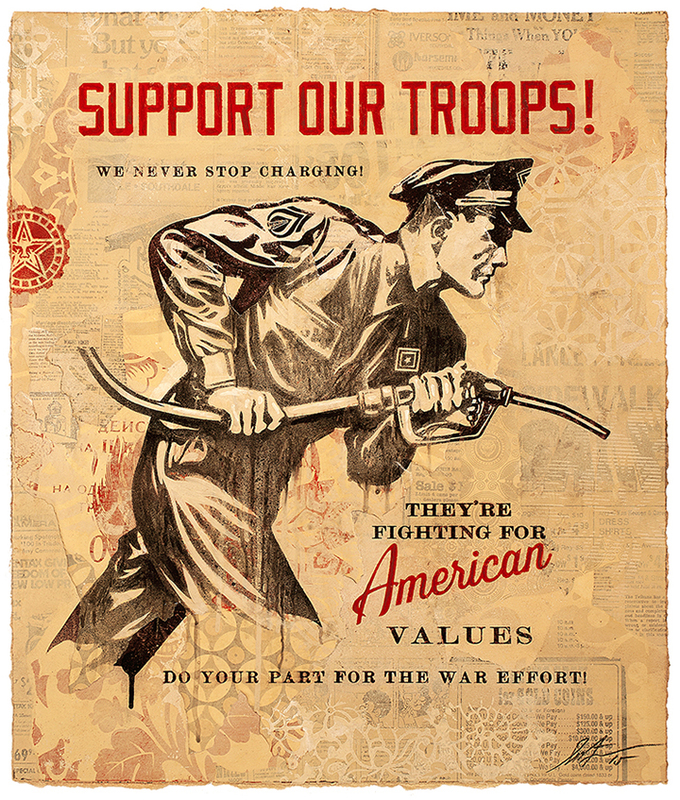 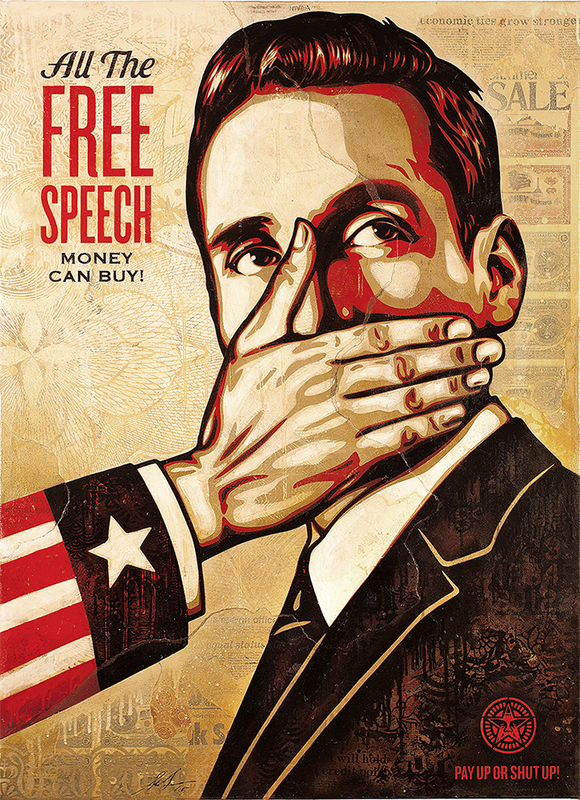 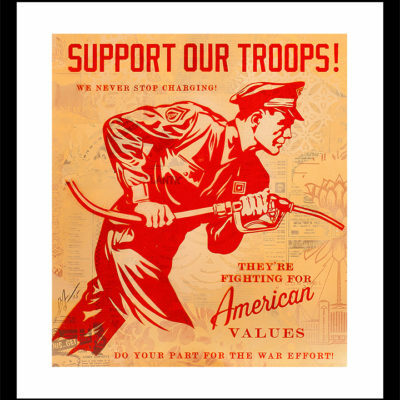 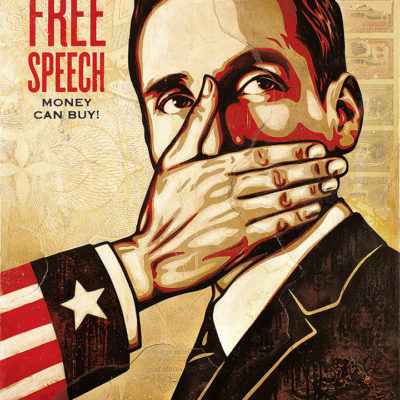 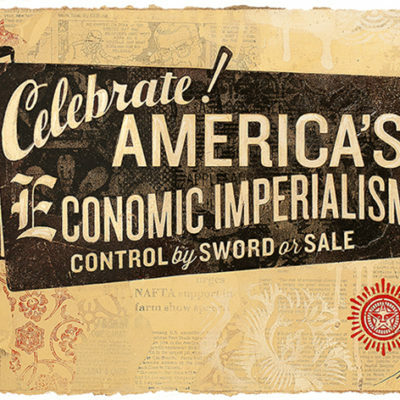 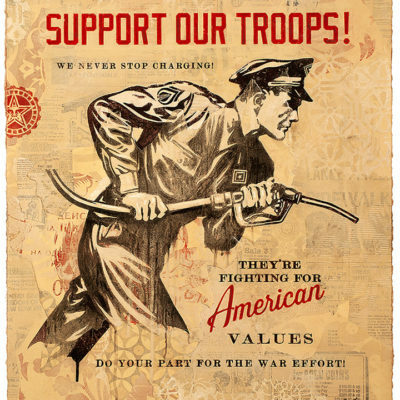 Over the past two decades, Fairey has created indelible paintings, illustrations, fine art editions and murals critiquing the ever-changing political landscape. 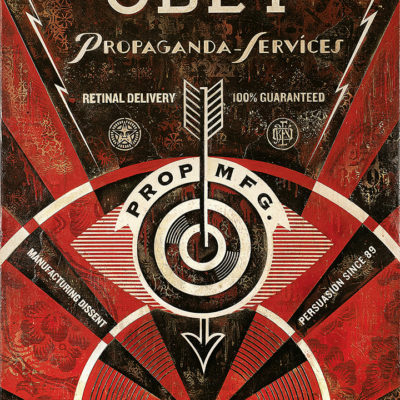 Influenced by Russian Constructivism, Chinese Communist propaganda and American advertising, Fairey’s work exemplifies a lifelong experiment in phenomenology and a simultaneously hopeful and damning call for independent thought in America. 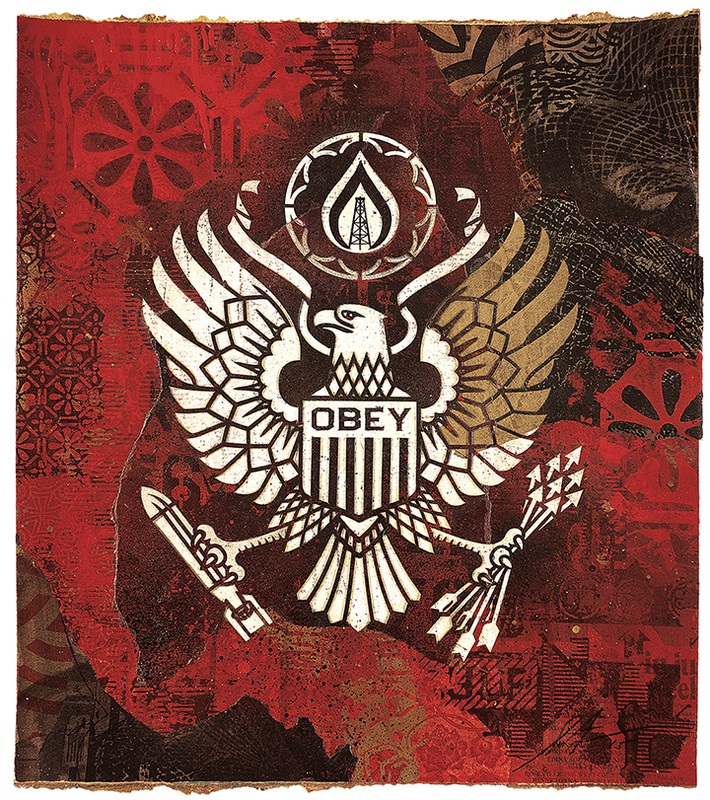 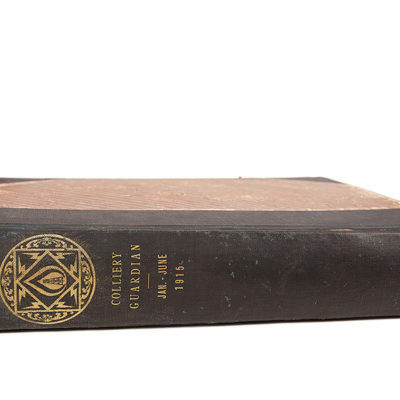 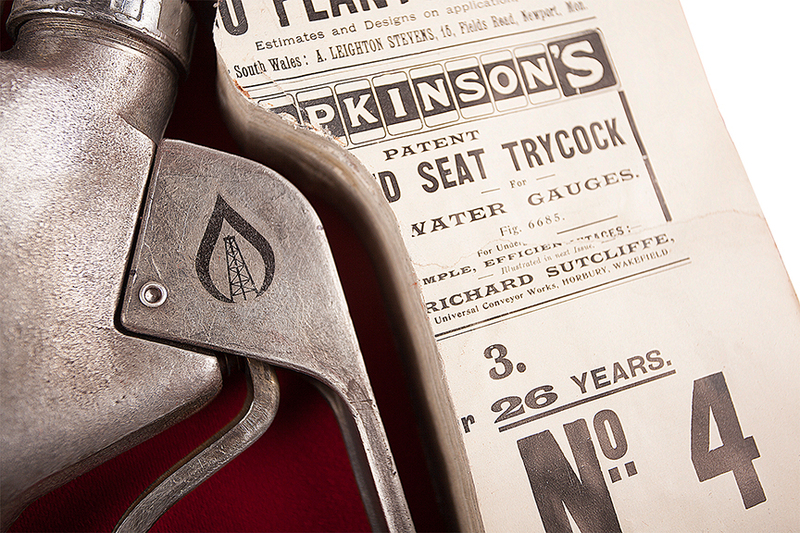 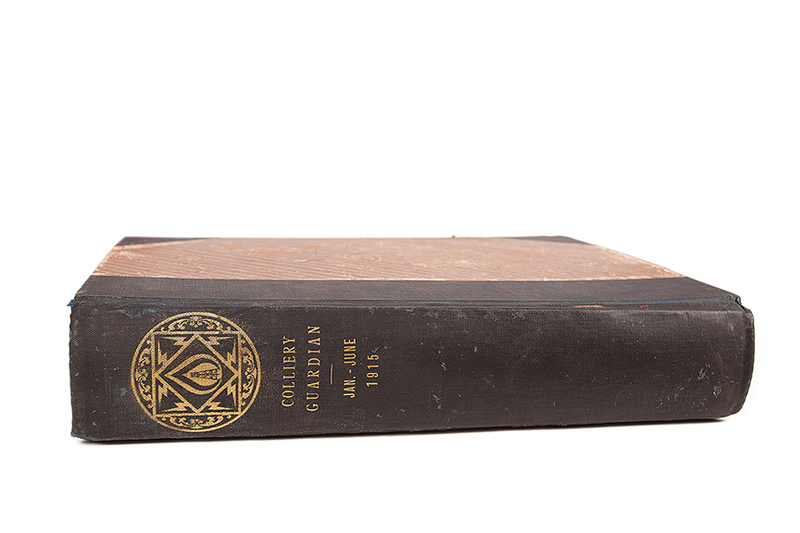 The exhibition coincides with Fairey’s new monograph Covert to Overt, published by Rizzoli. 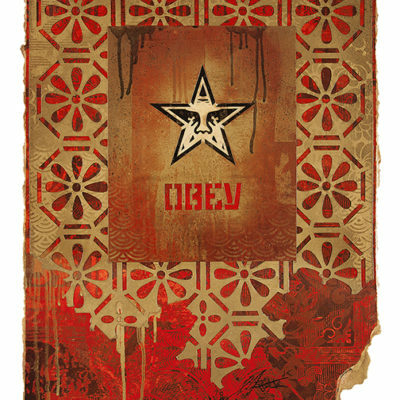 A limited number of copies will be available for advance purchase at Jacob Lewis Gallery before the book’s release date. 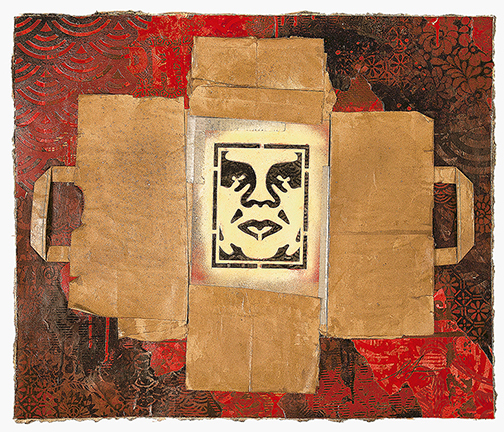 His work has evolved into an acclaimed body of art, which includes the 2008 “Hope” portrait of Barack Obama, which can be found in the Smithsonian’s National Portrait Gallery. 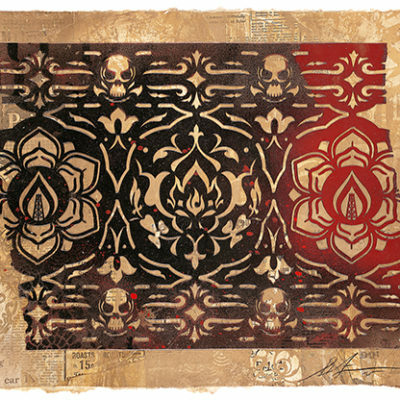 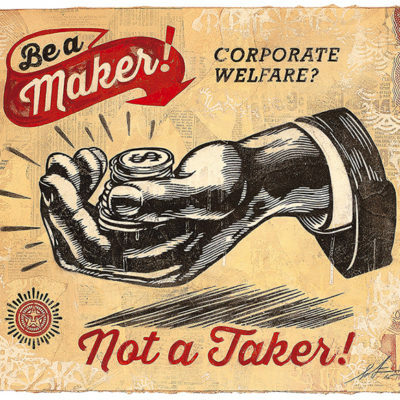 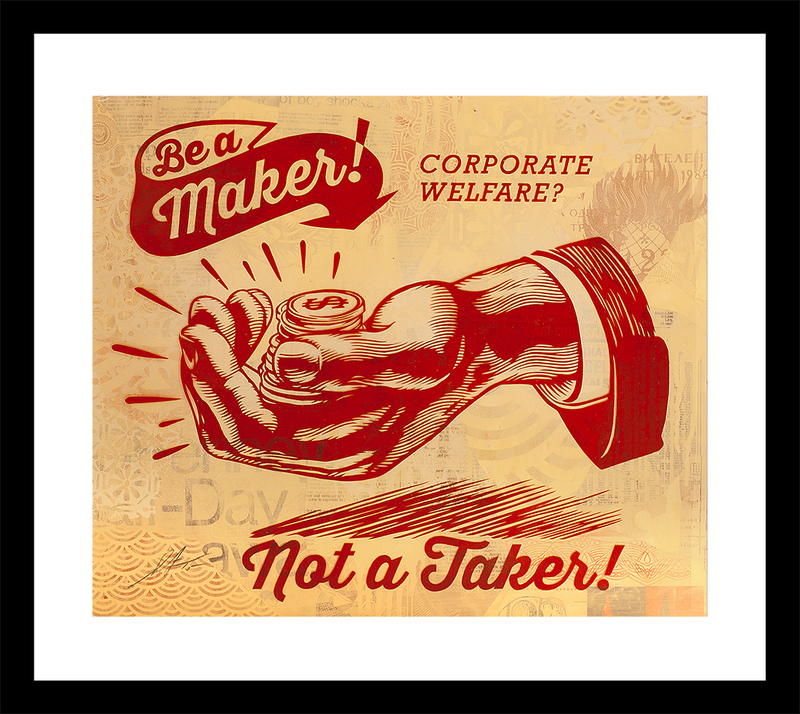 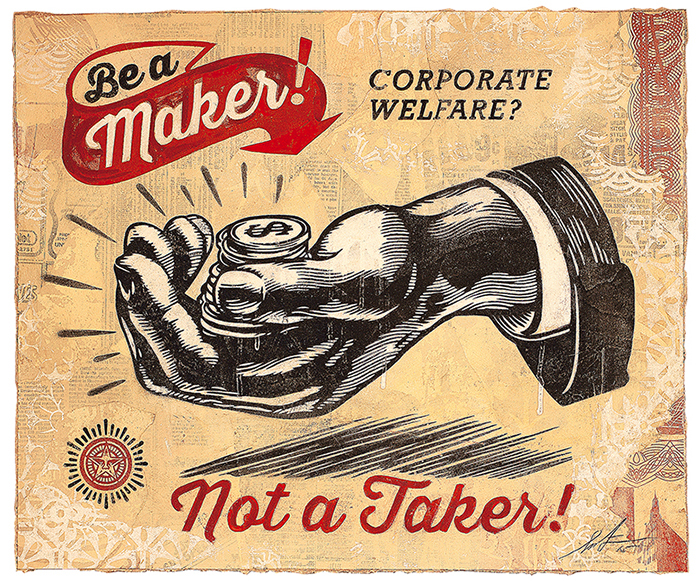 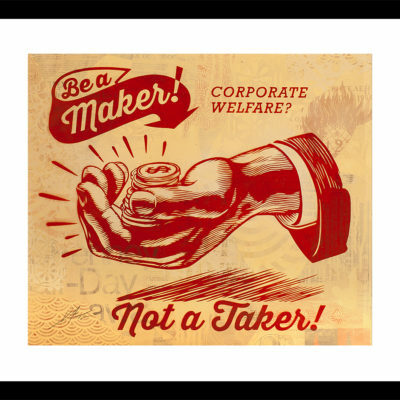 Fairey recently opened a solo museum show Your Eyes Here with the CAC Málaga as well as a solo exhibition and public murals in Detroit, Michigan as part of his Printed Matters series. 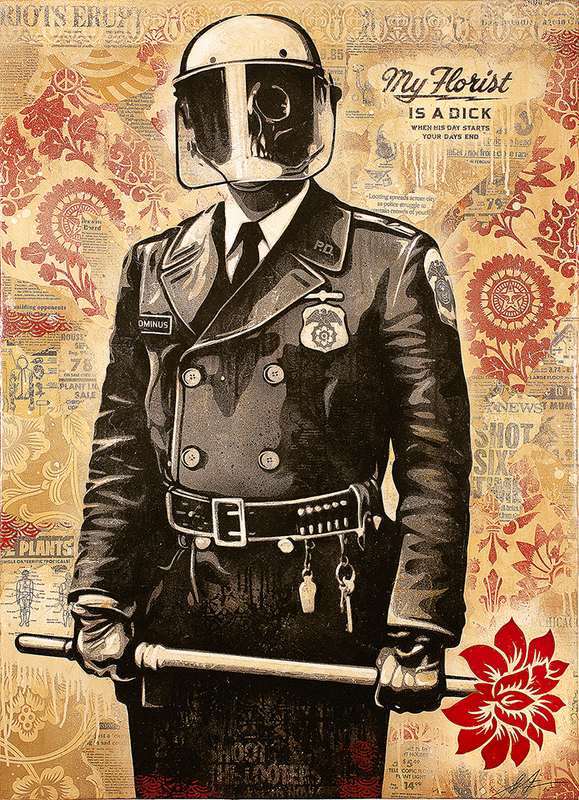 The artist created new works for mural projects in Berlin and Munich in summer 2015.